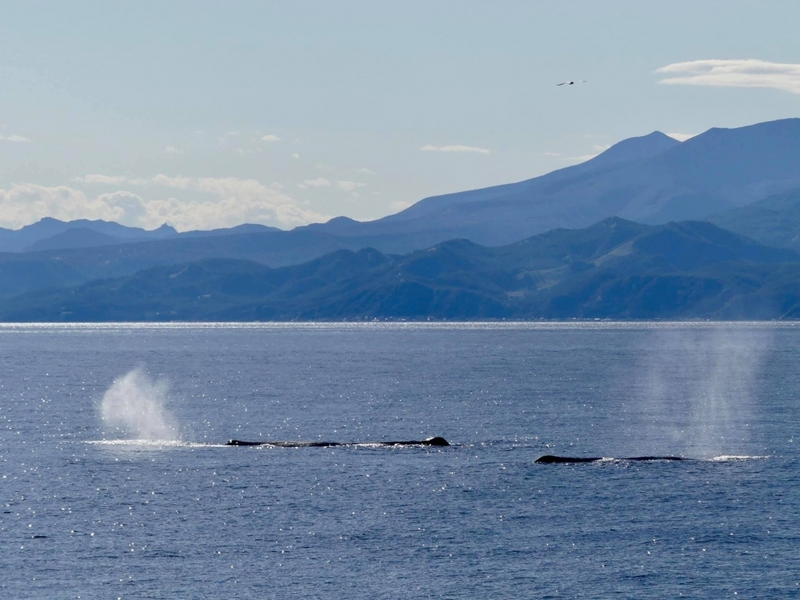 The Japanese guide on the whale watching boat said that in her 3 years of cruising almost every day of the year she has never seen a sleek whale display like we did! 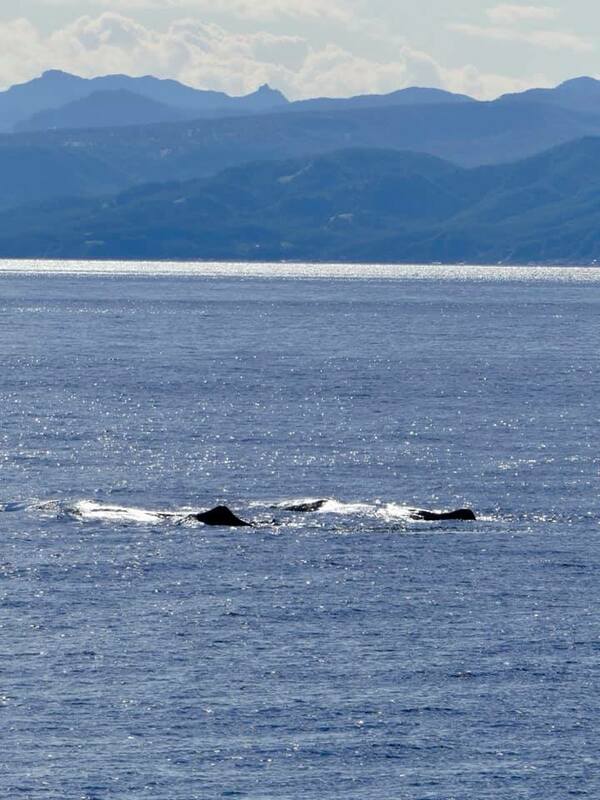 Usually, you can spot one or two whales swimming and quickly diving – but it was a nice sunny day and we watch a group of 5 male sperm whales basically lie and breathe on the surface for over 1.5 hours (only bachelor males come his far north hunting for fish while females and babies remain much down south in the Pacific). 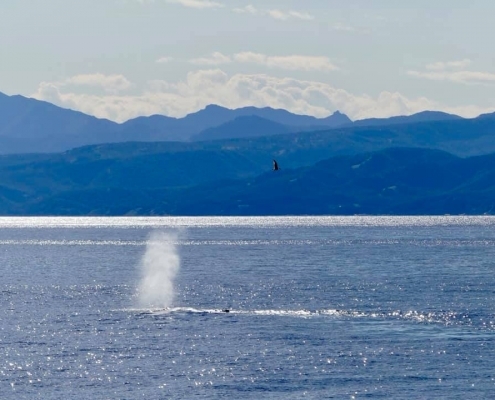 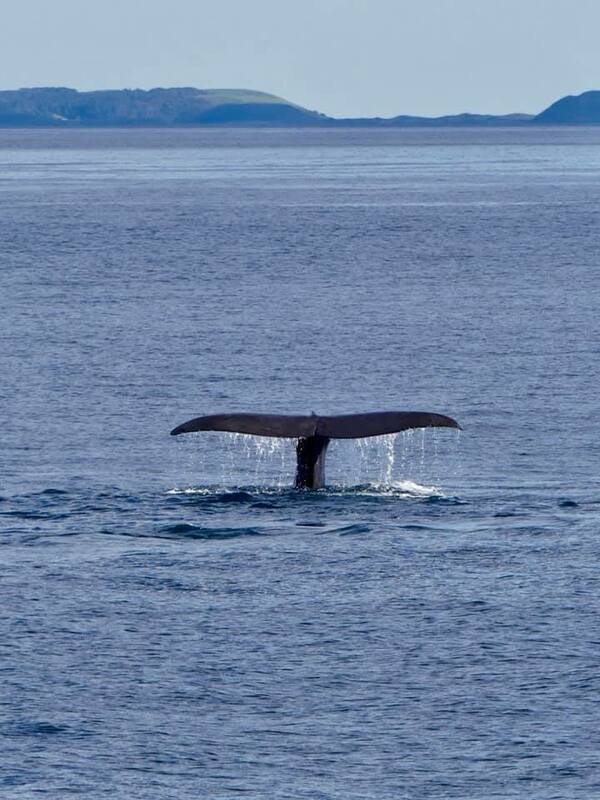 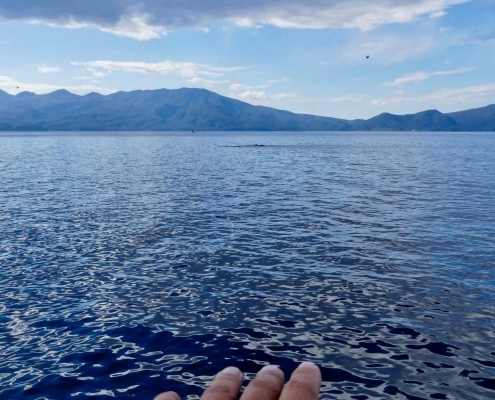 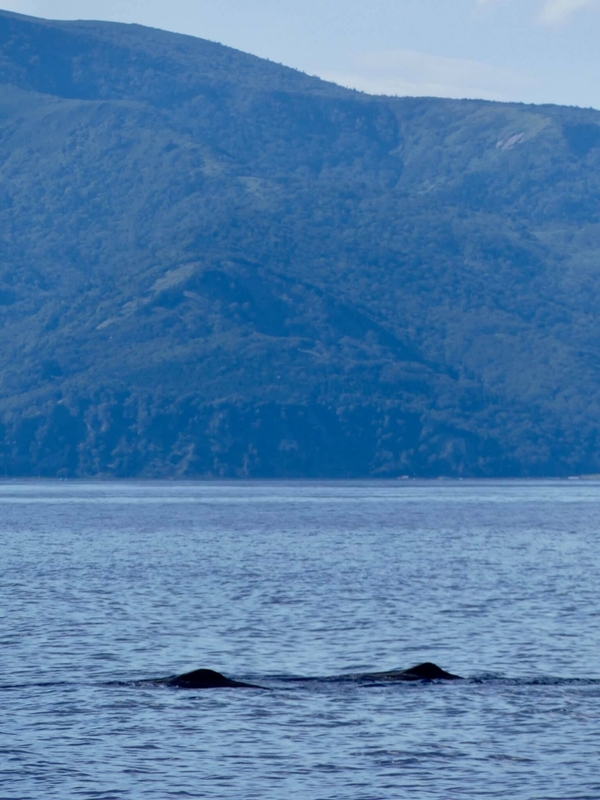 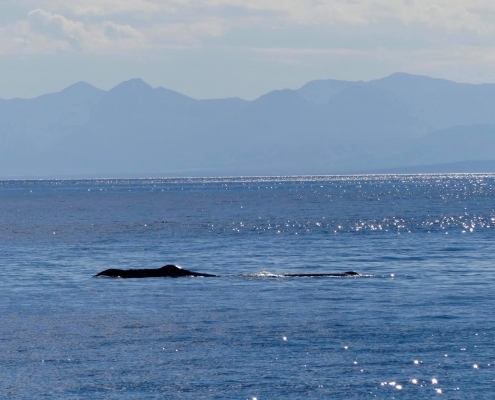 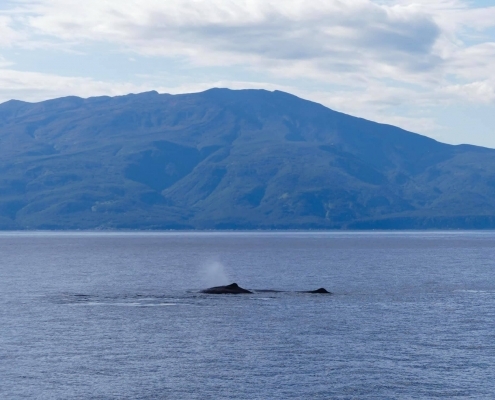 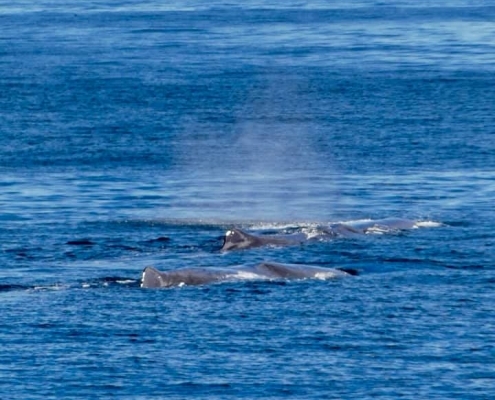 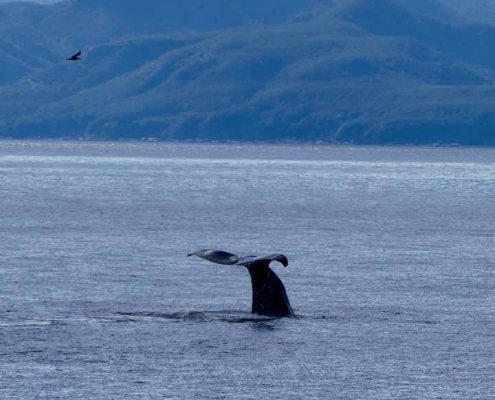 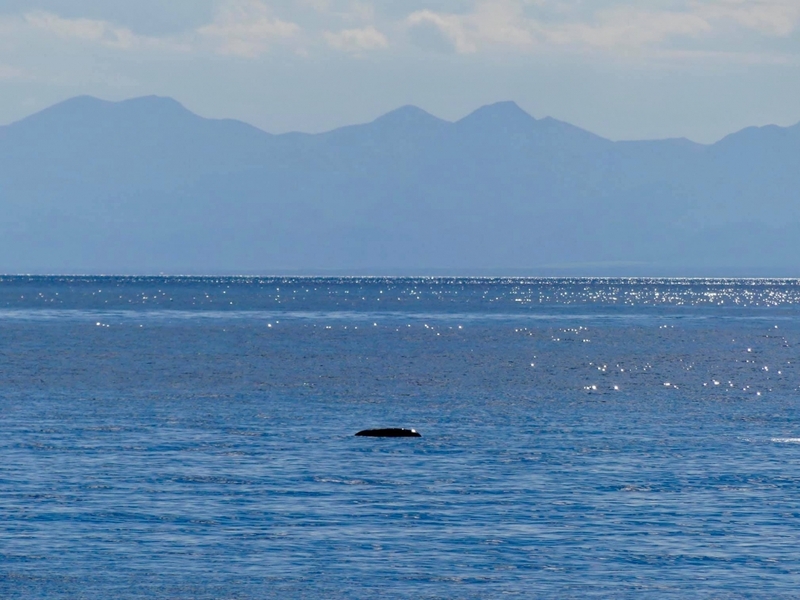 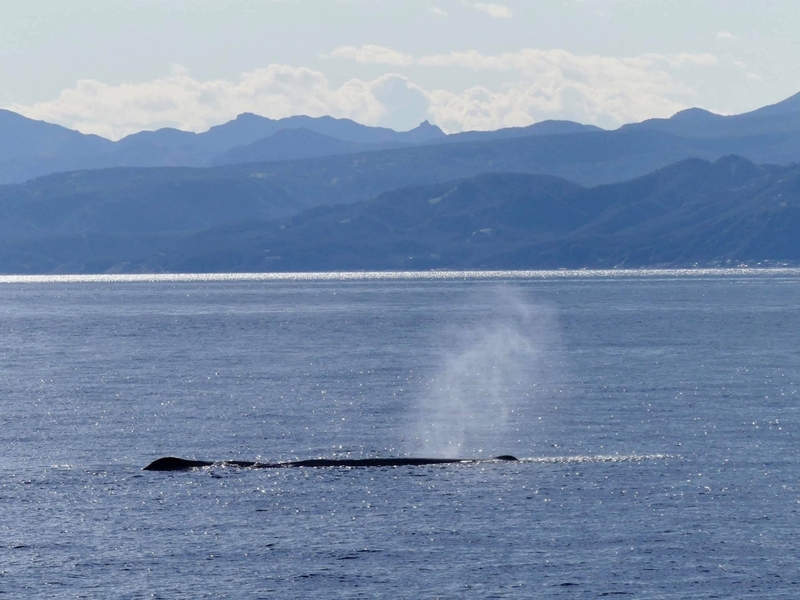 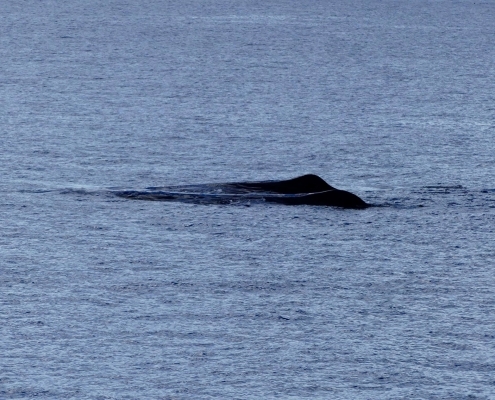 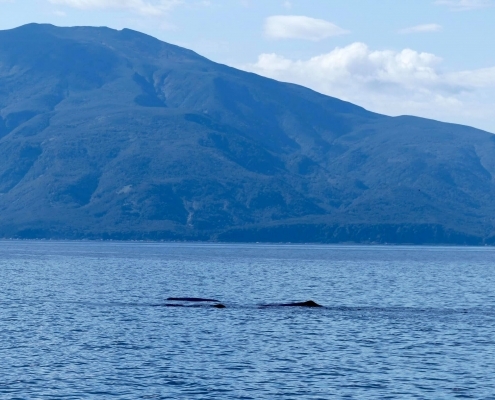 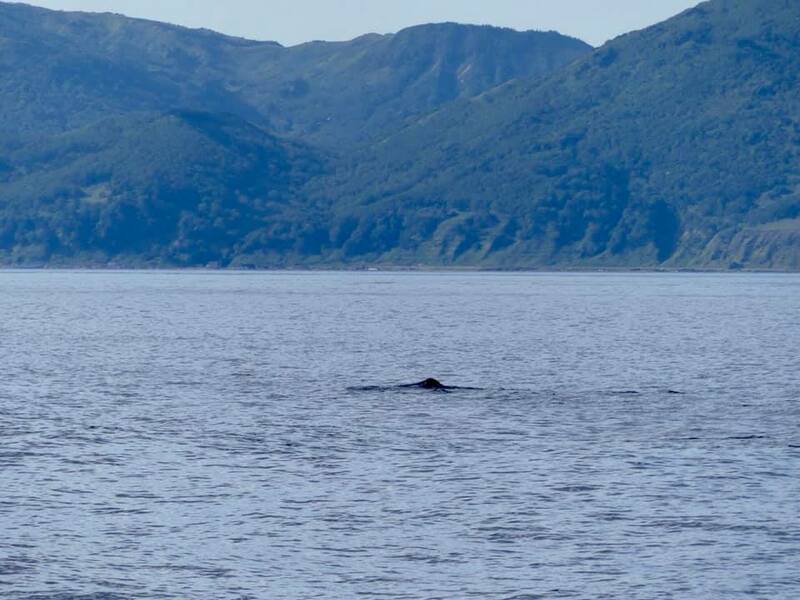 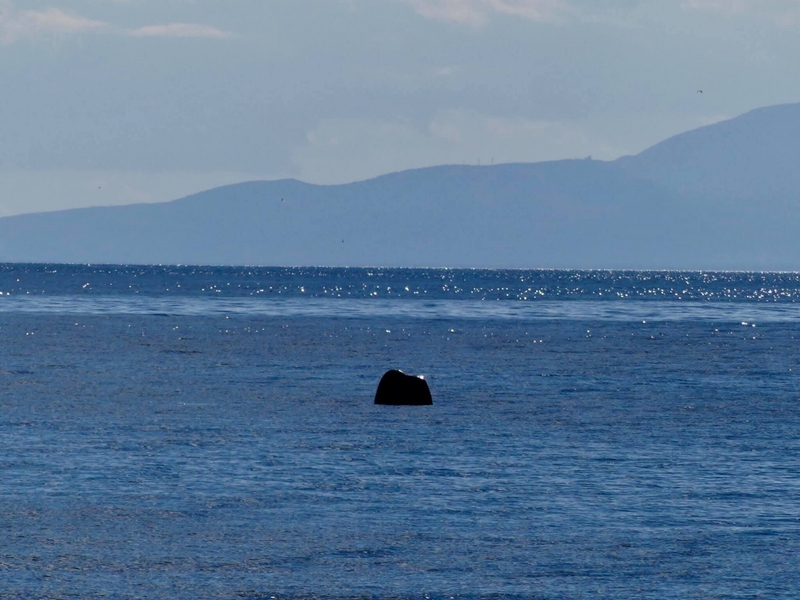 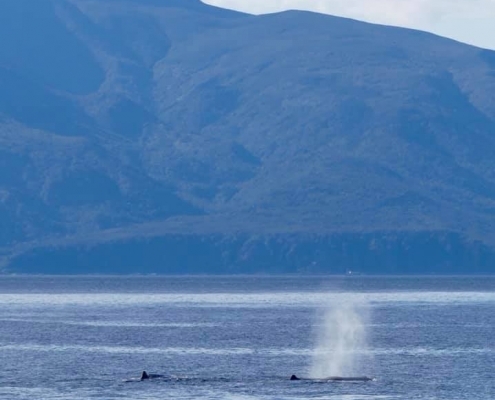 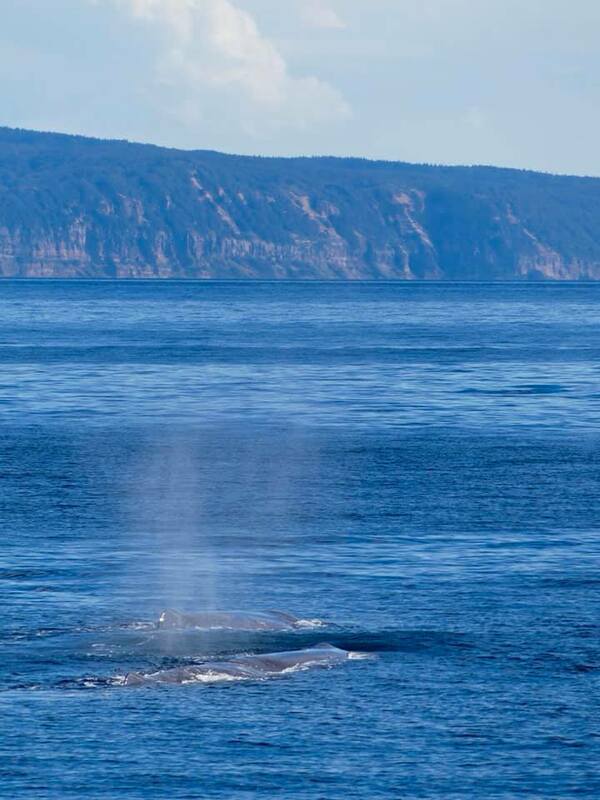 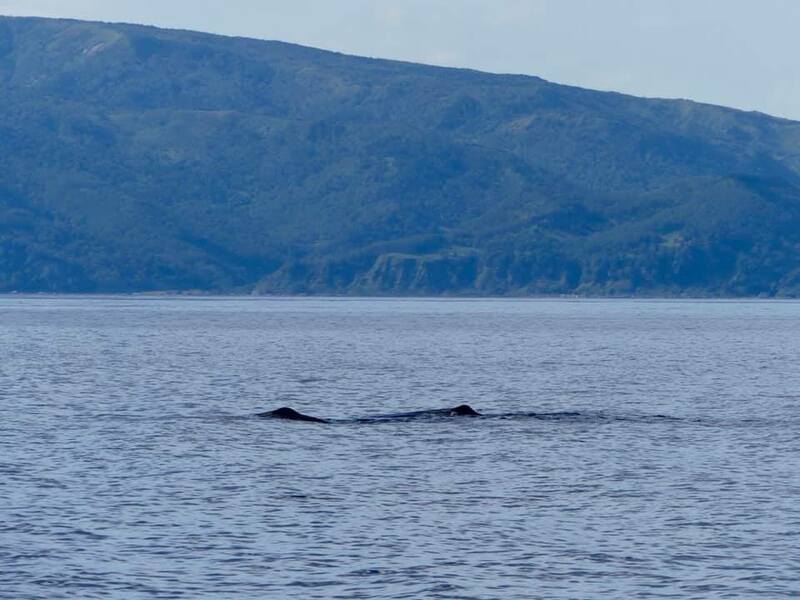 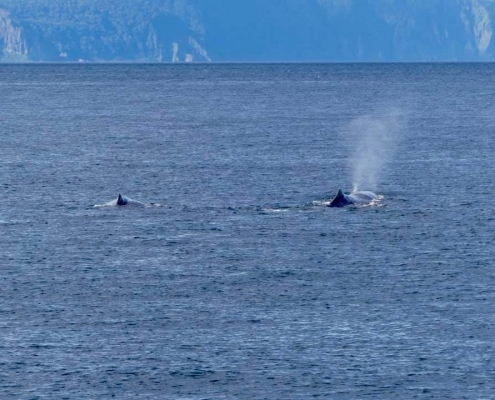 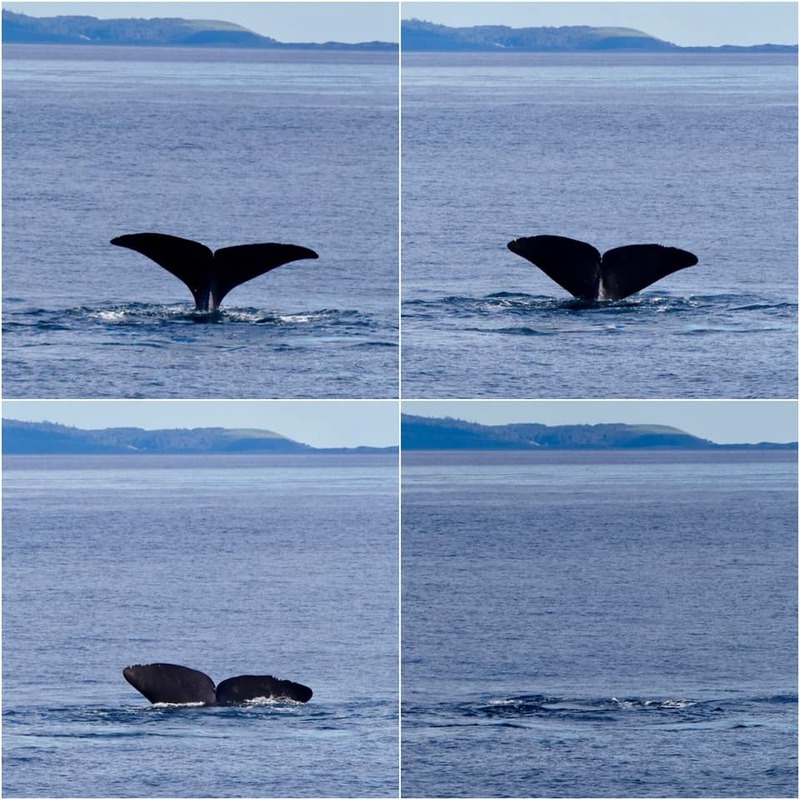 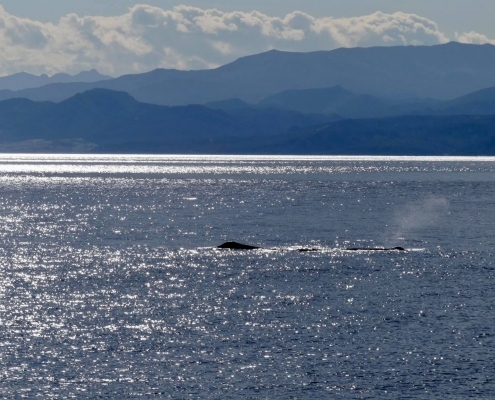 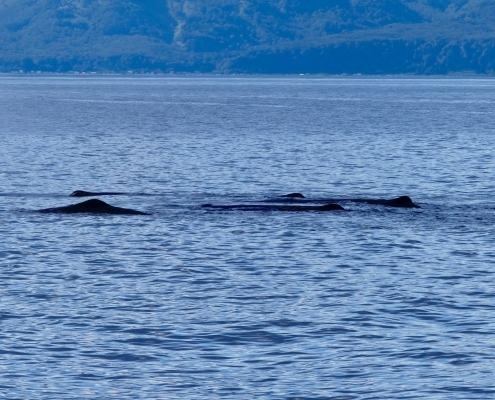 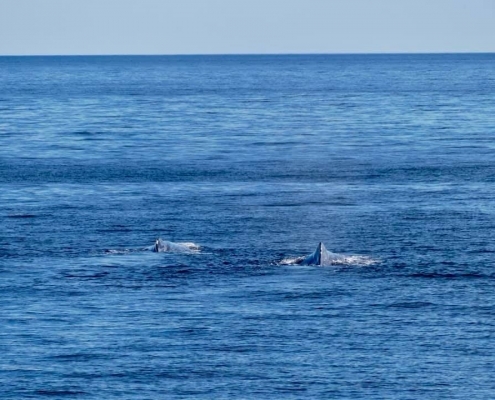 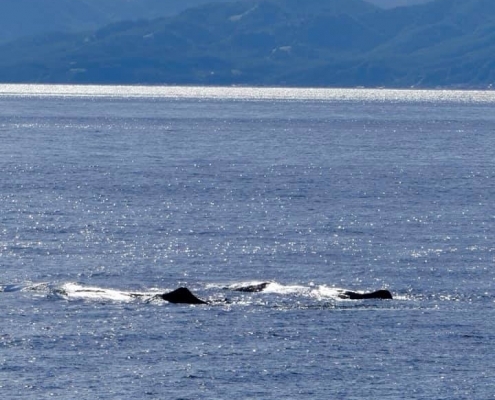 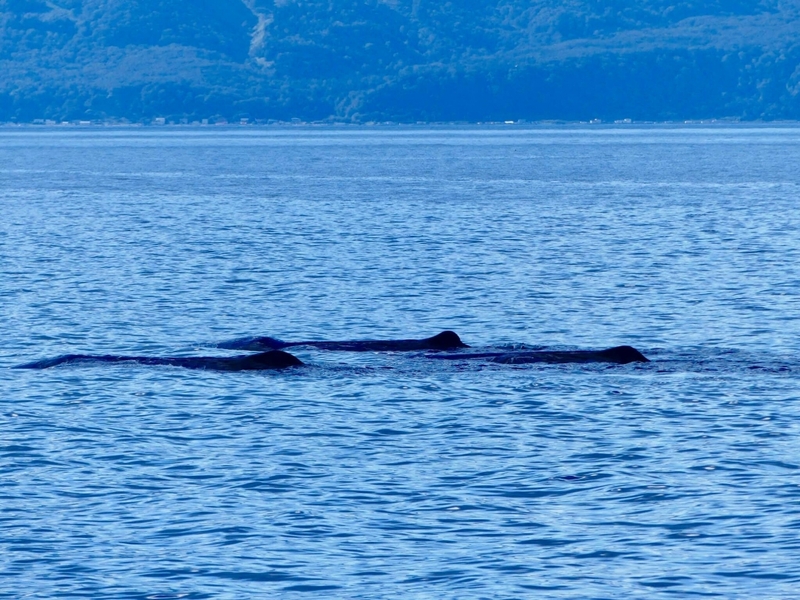 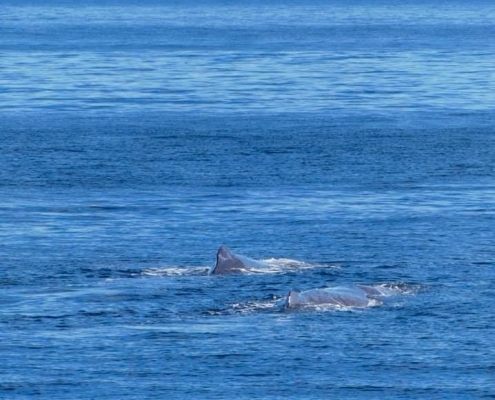 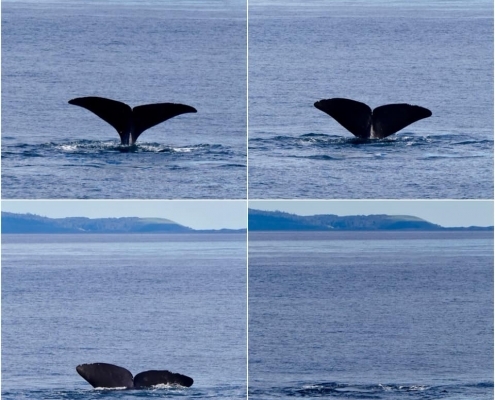 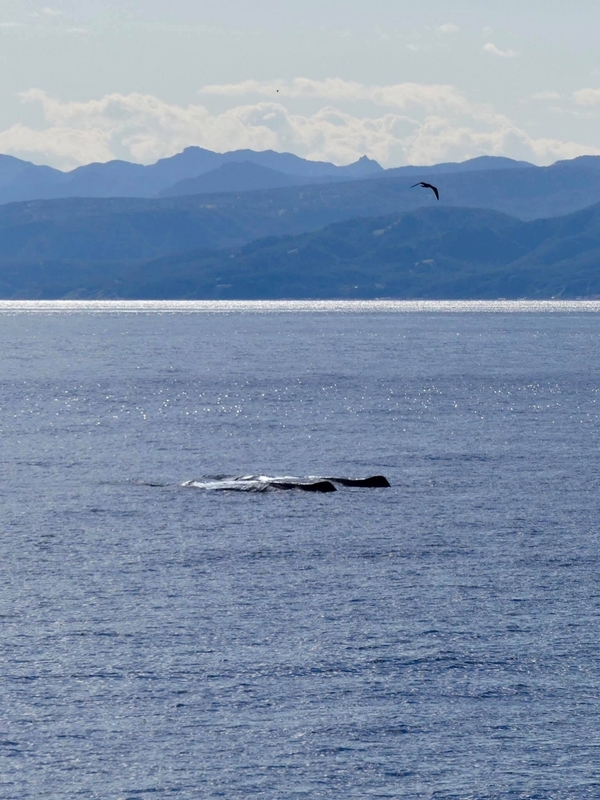 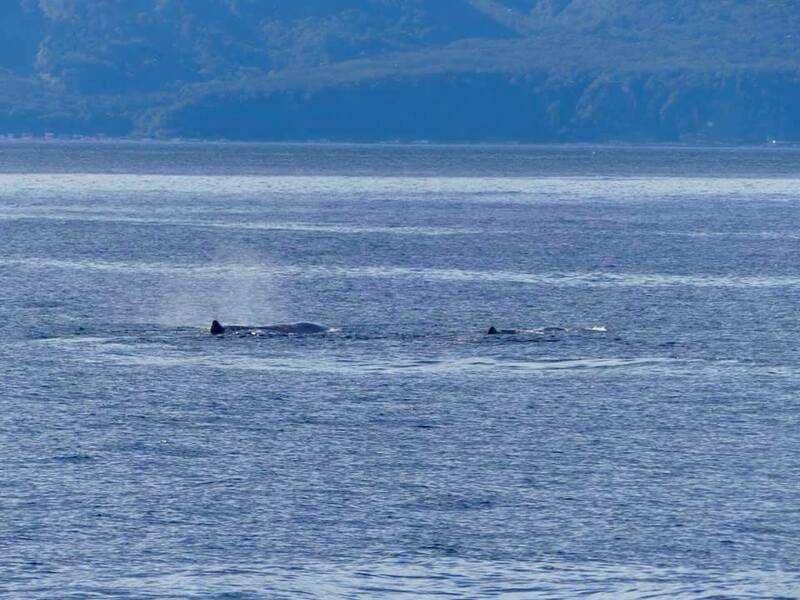 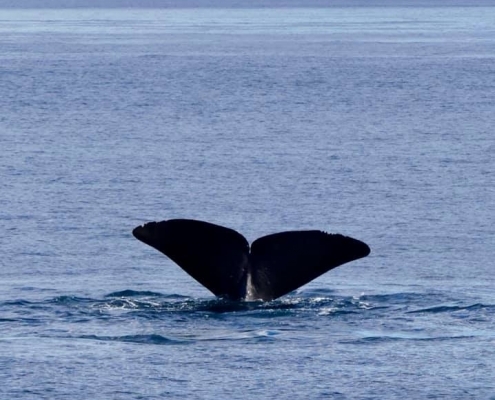 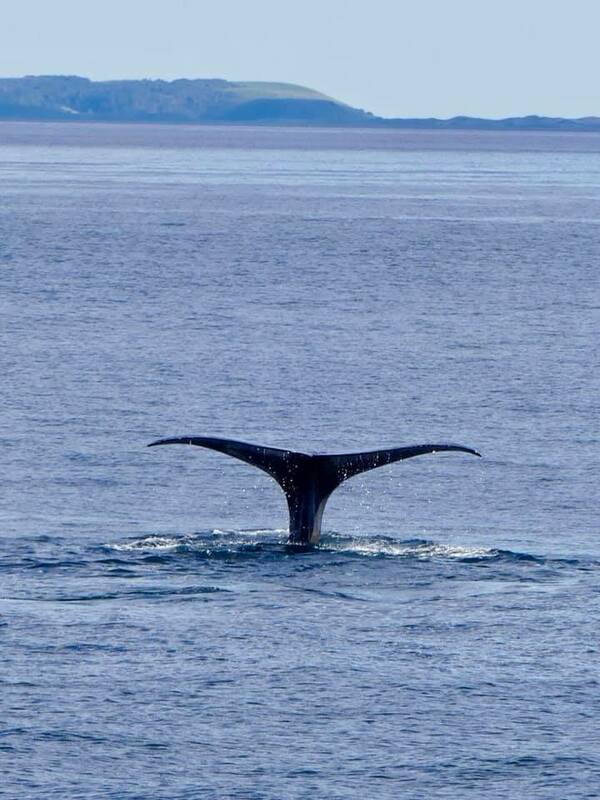 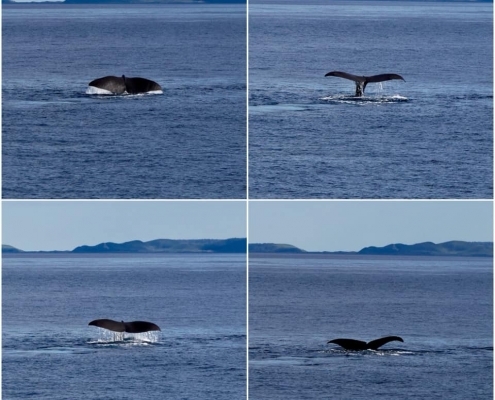 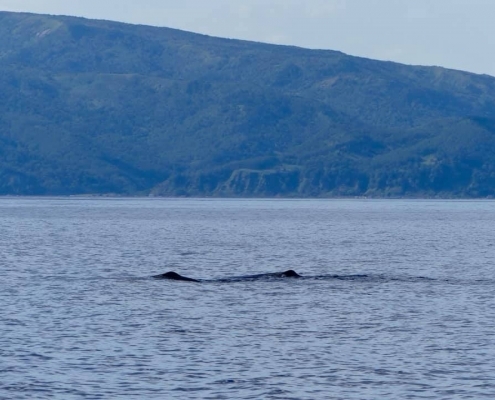 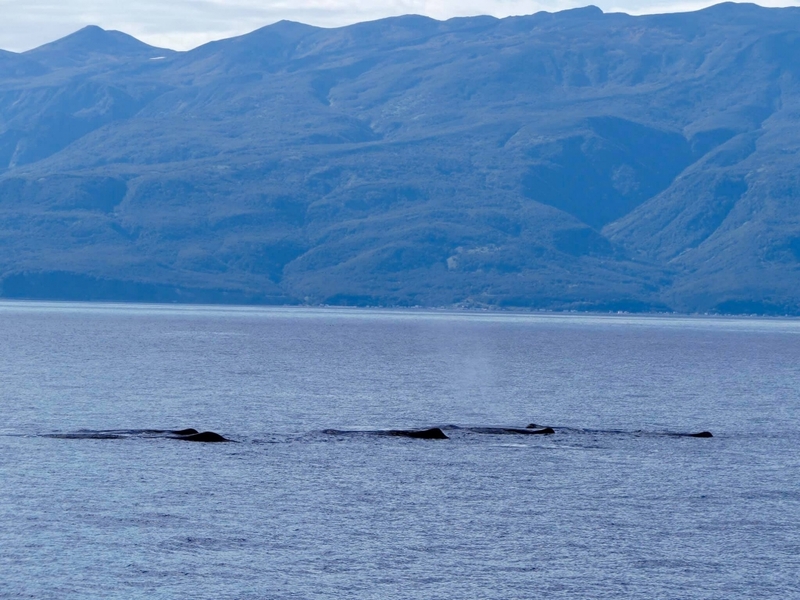 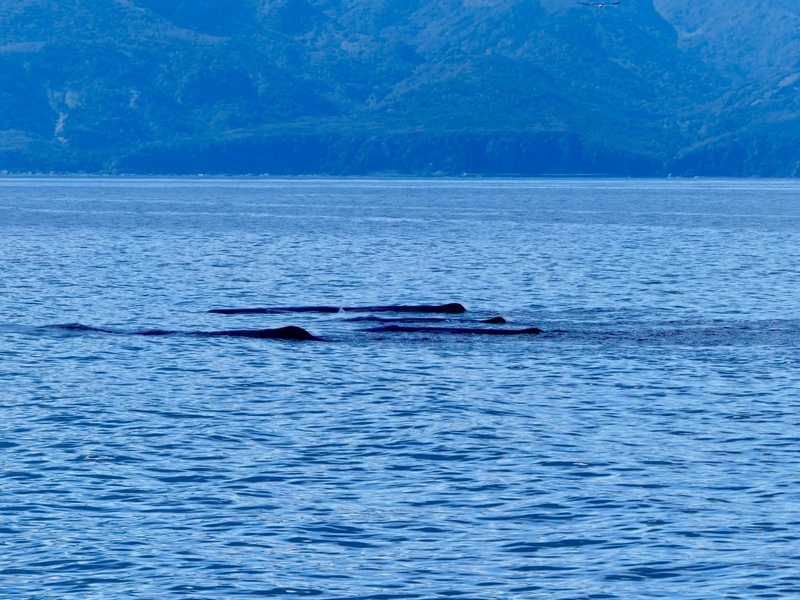 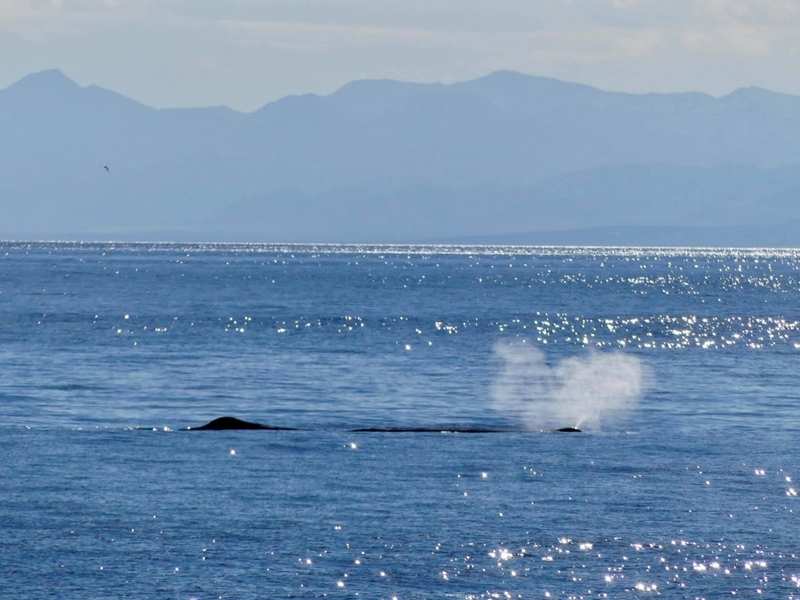 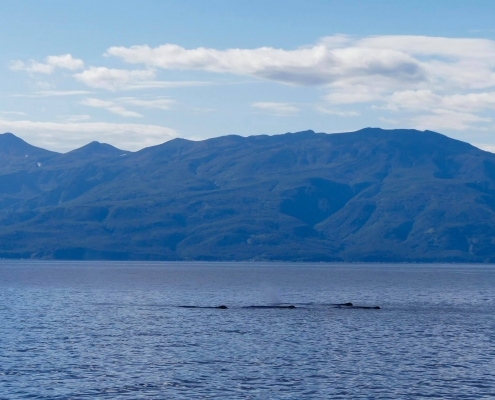 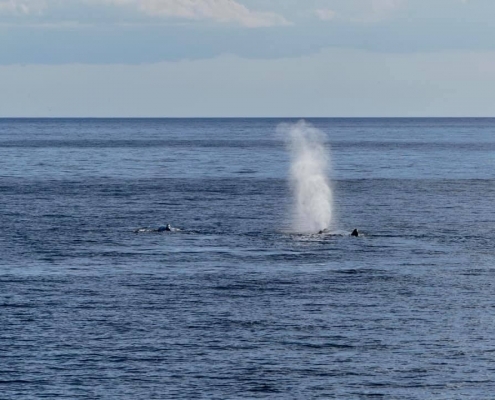 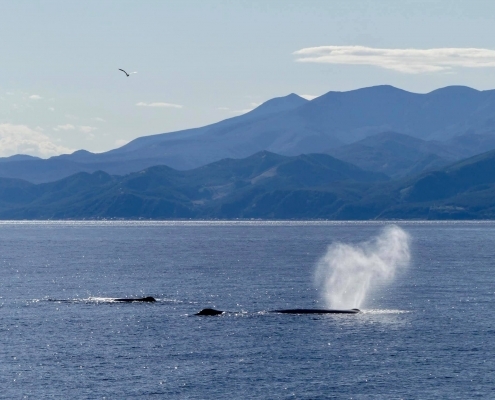 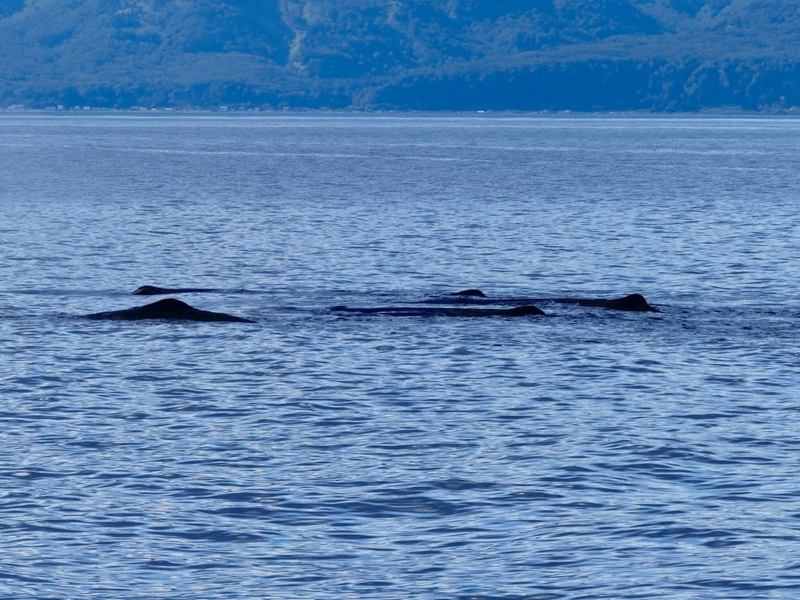 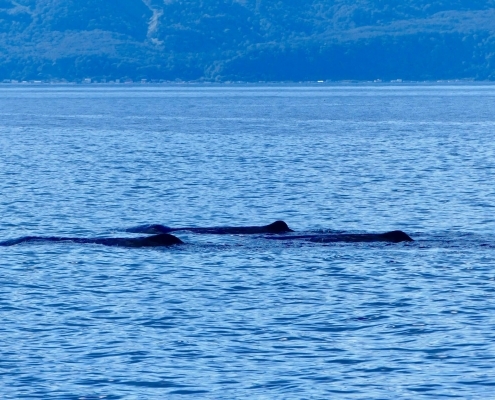 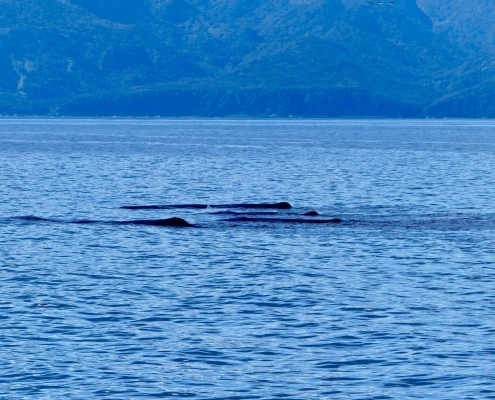 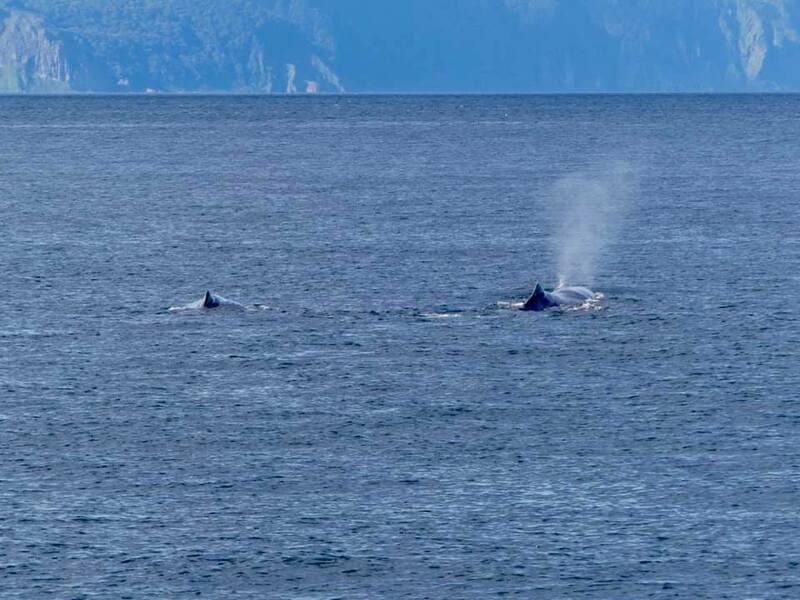 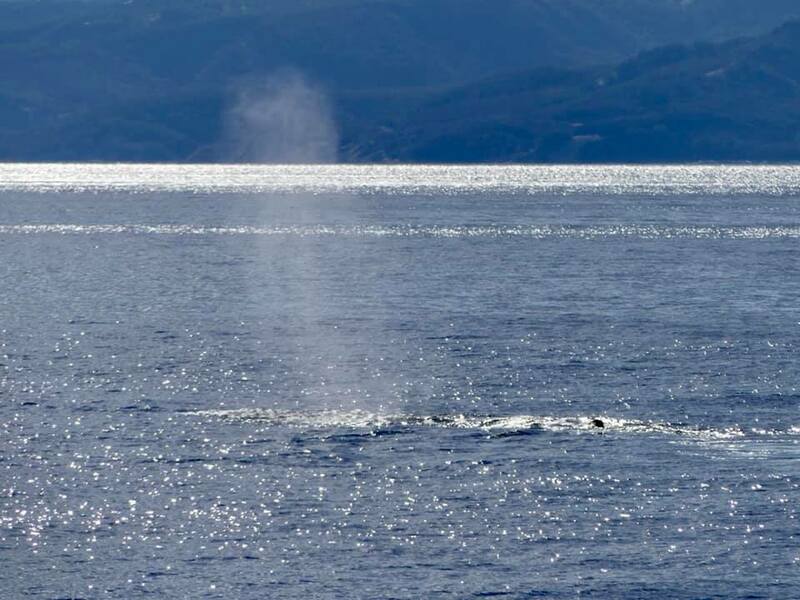 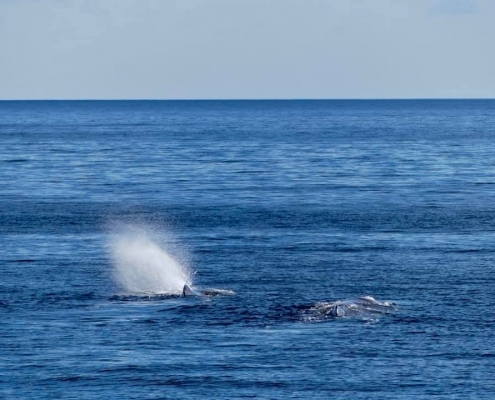 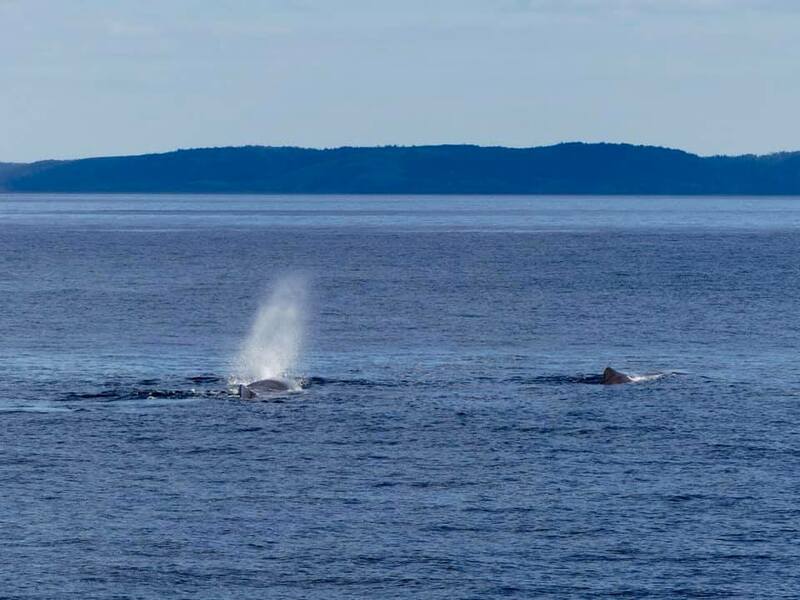 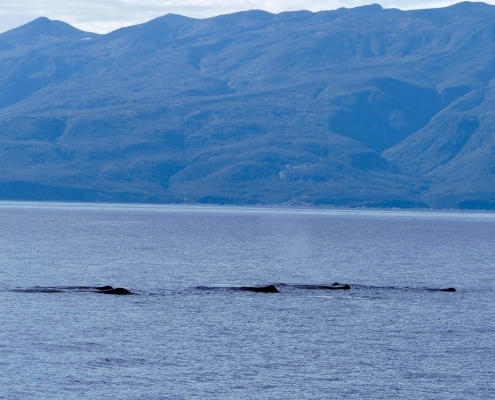 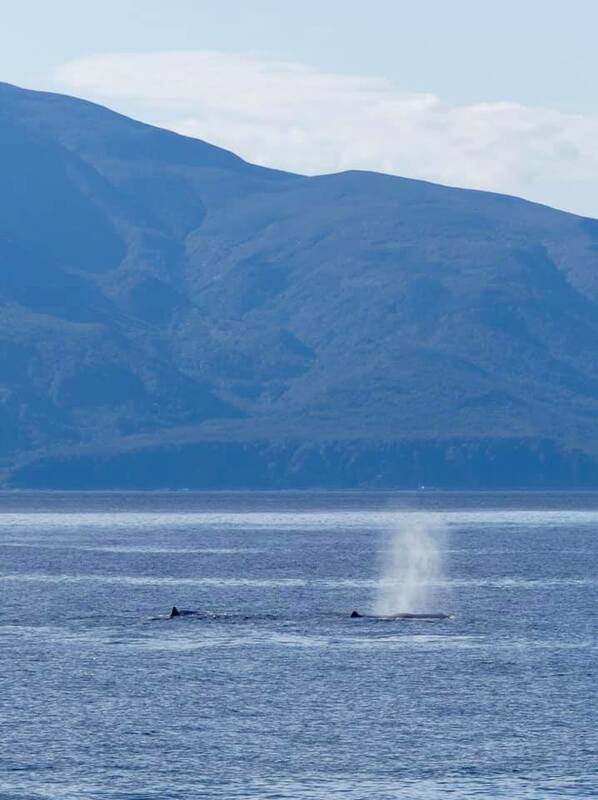 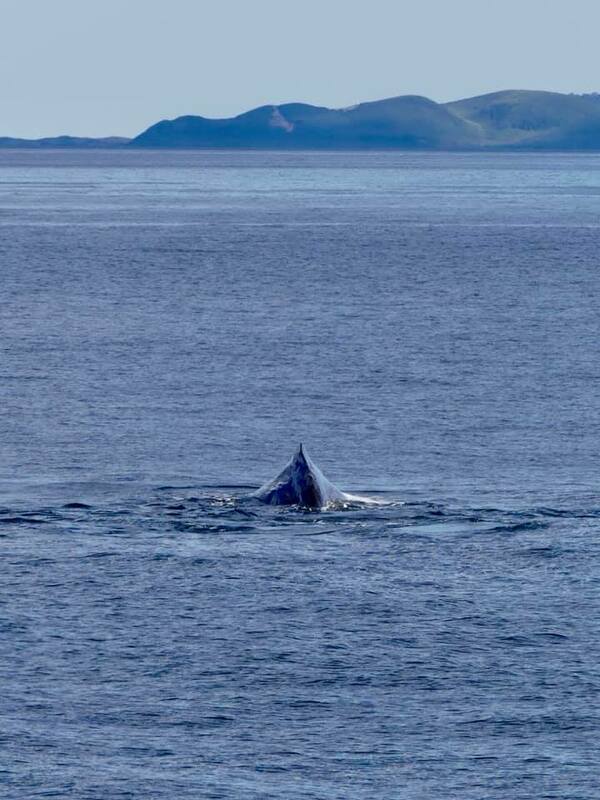 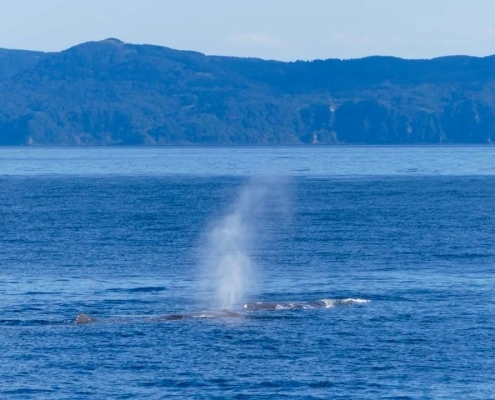 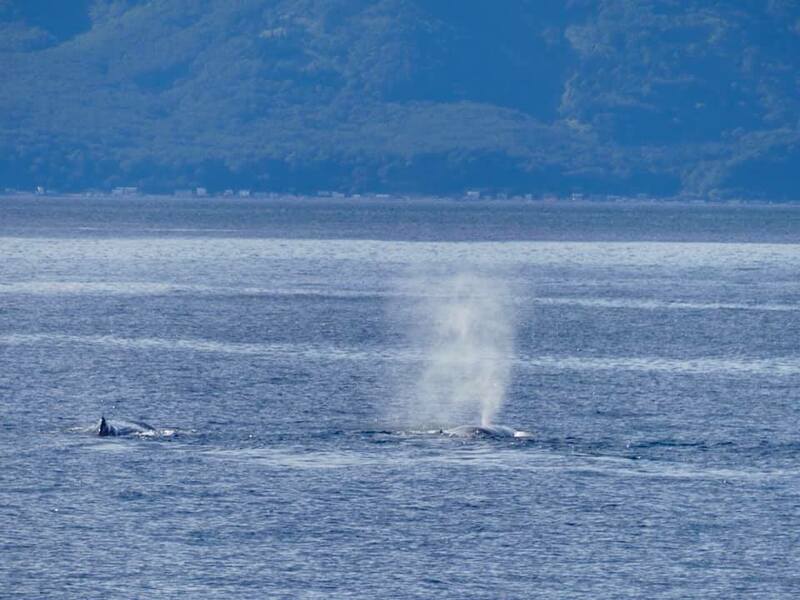 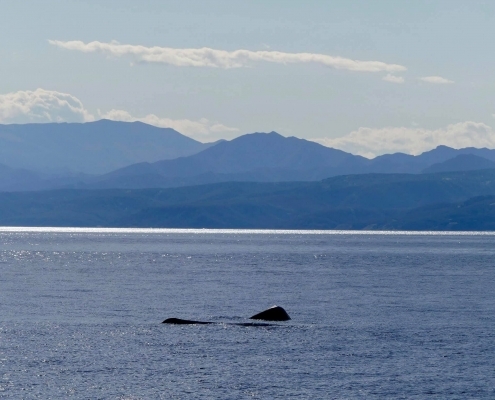 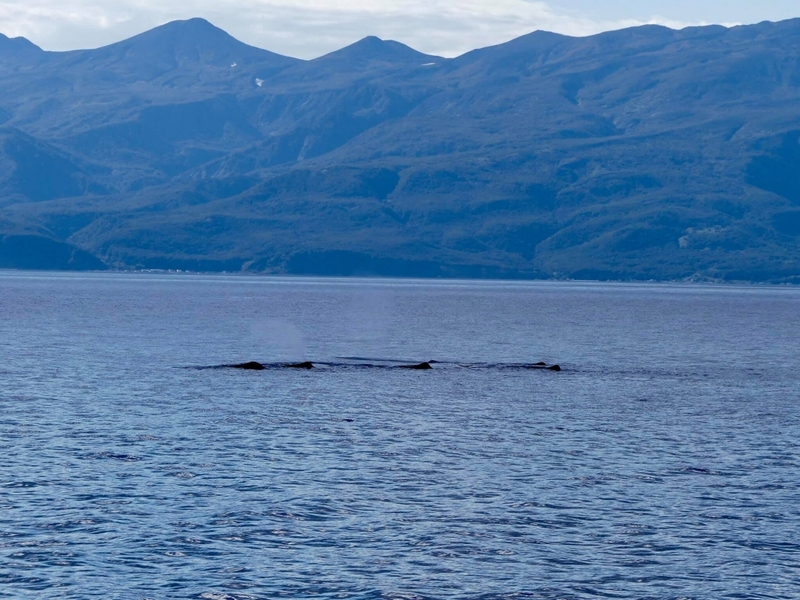 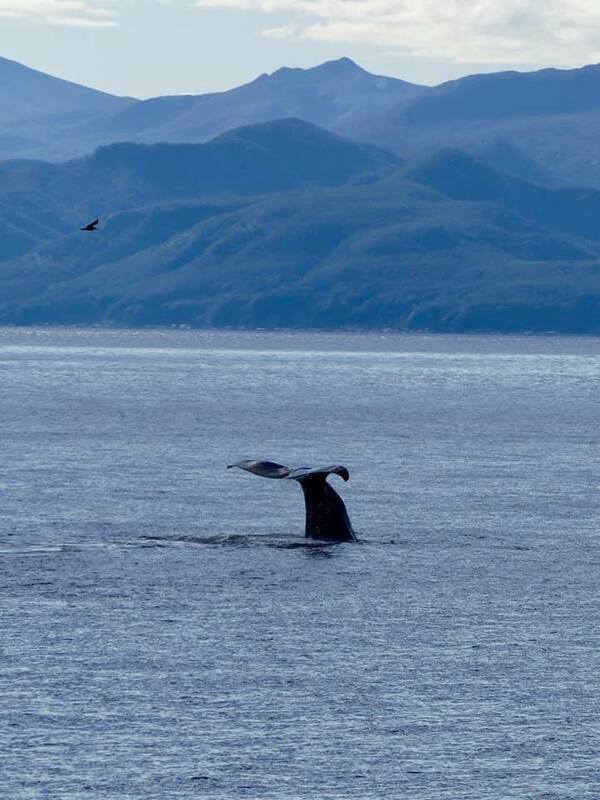 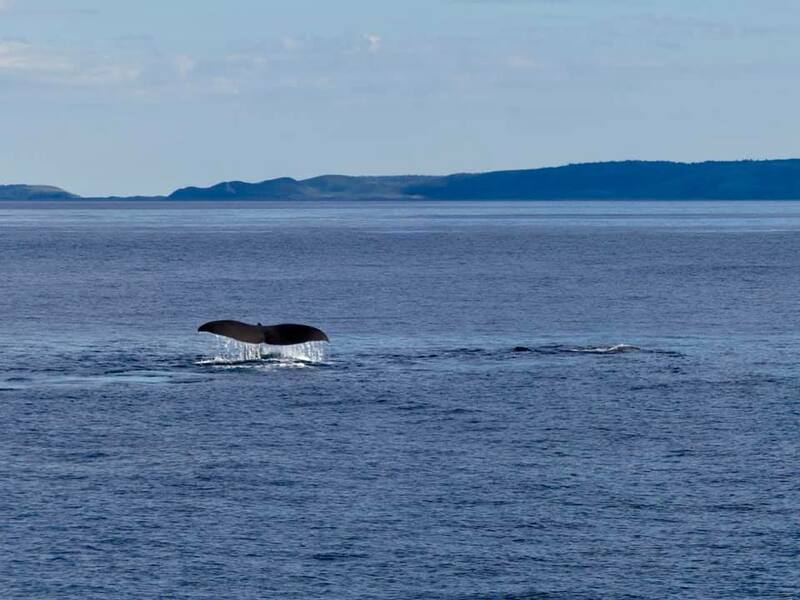 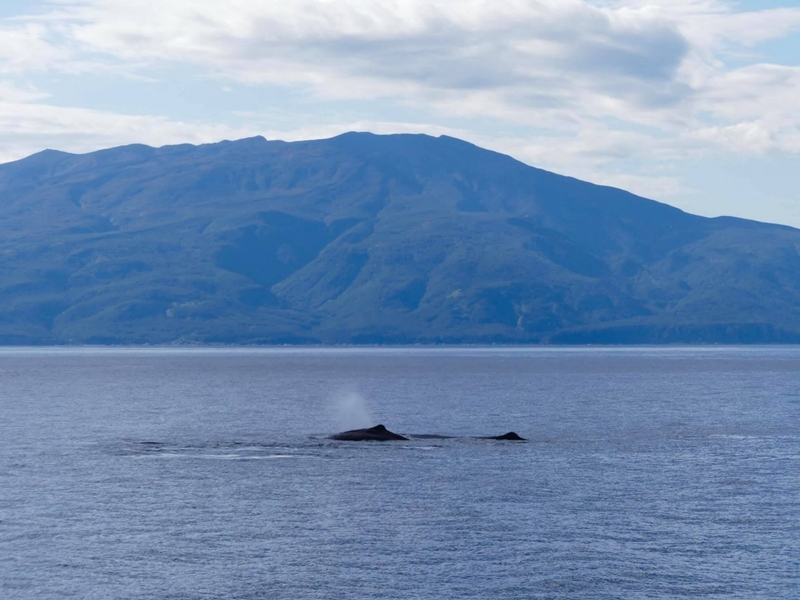 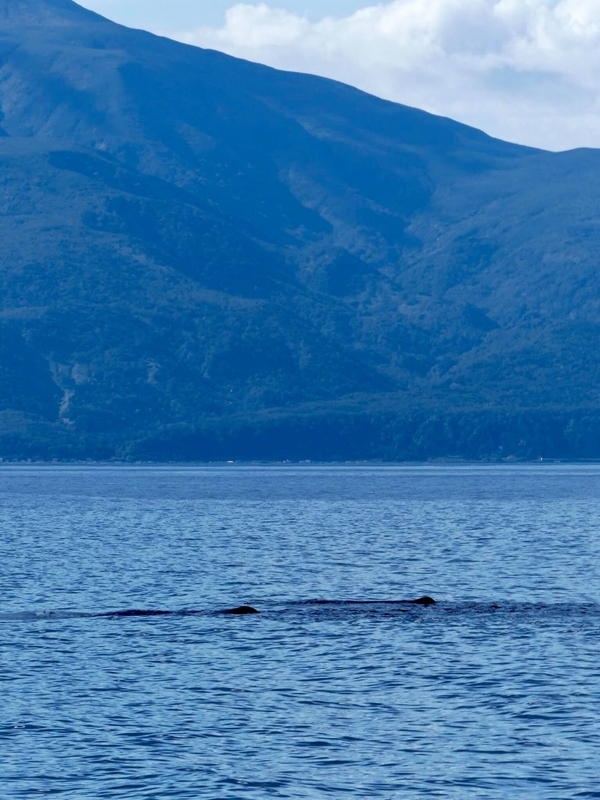 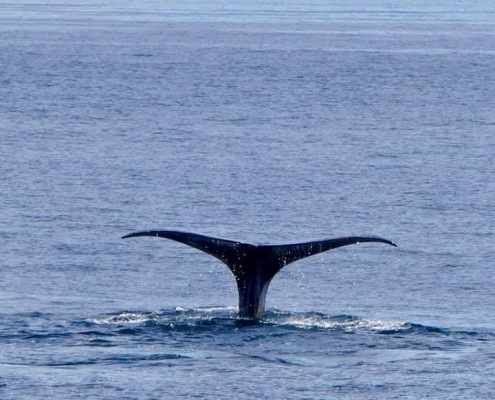 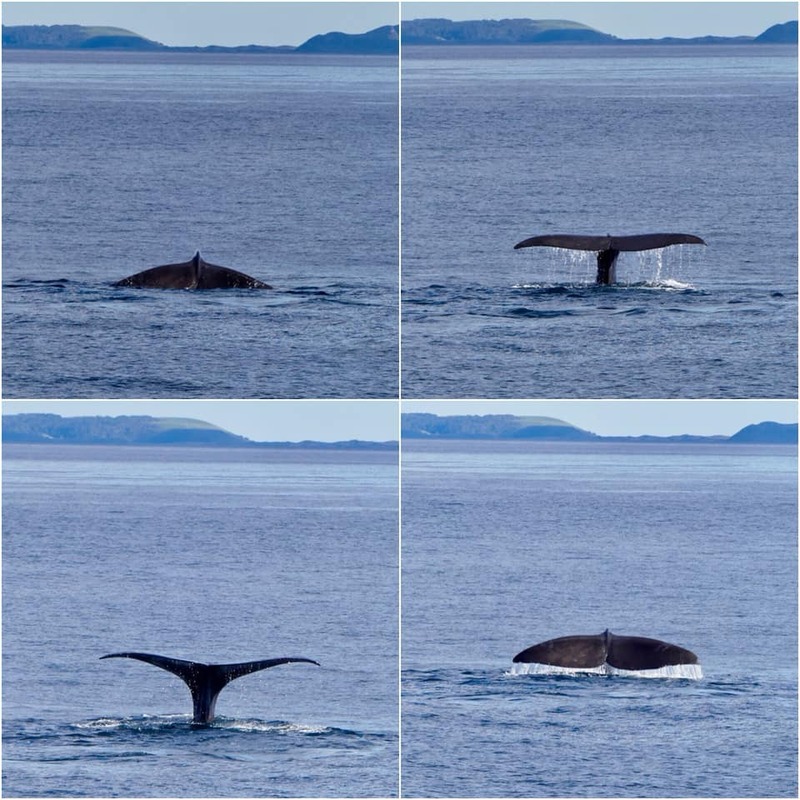 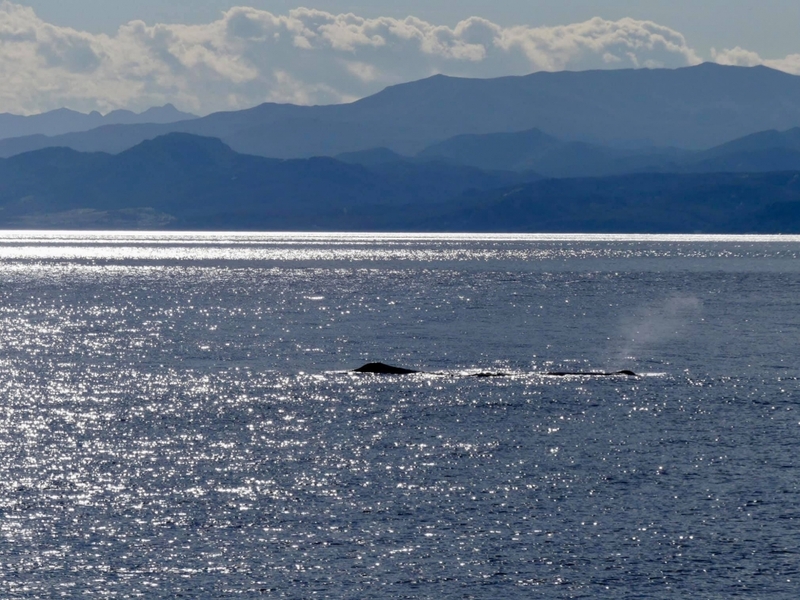 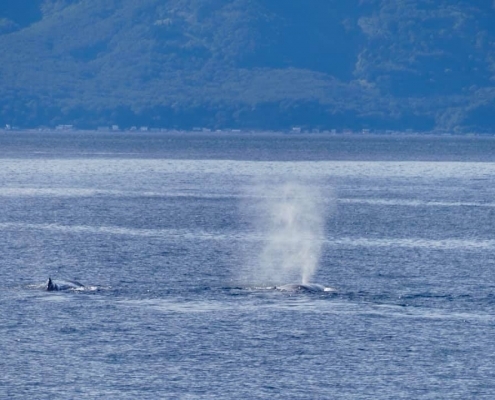 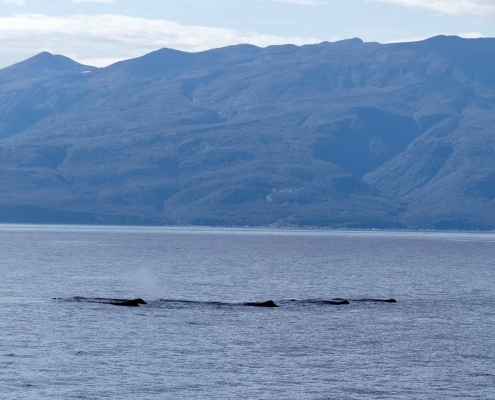 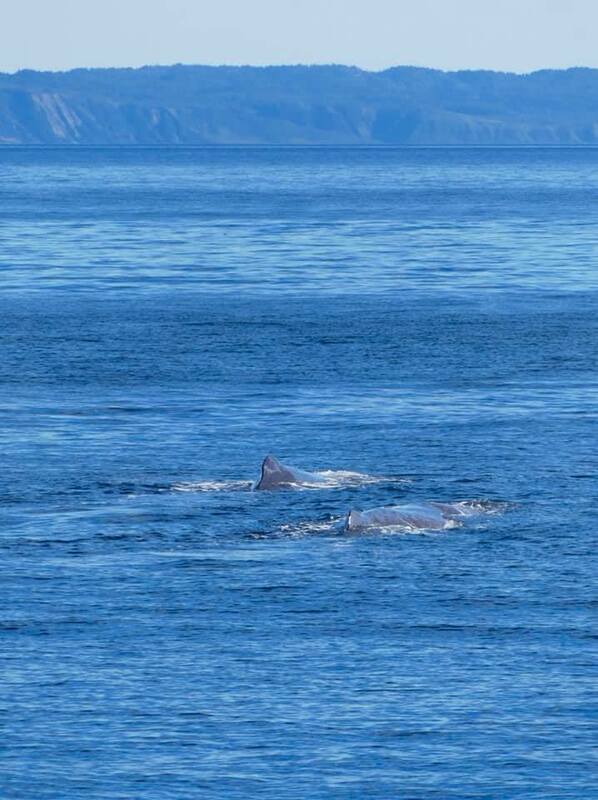 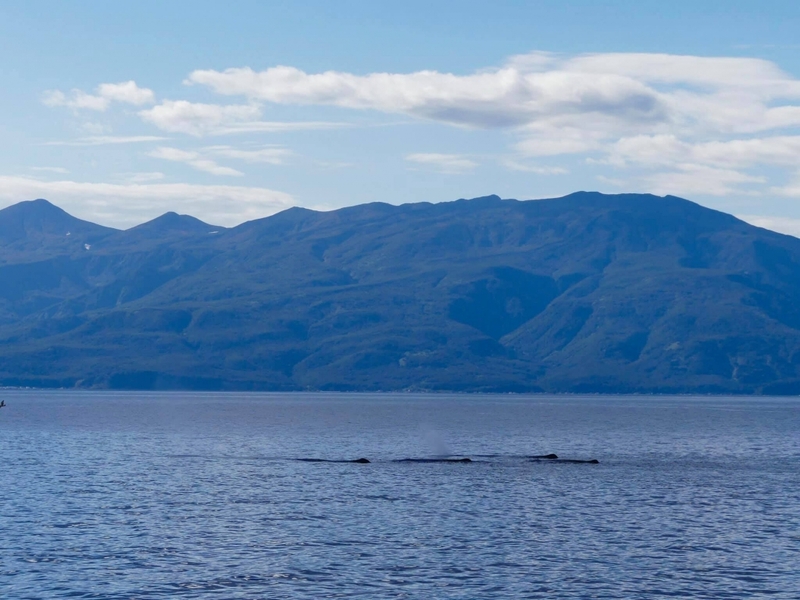 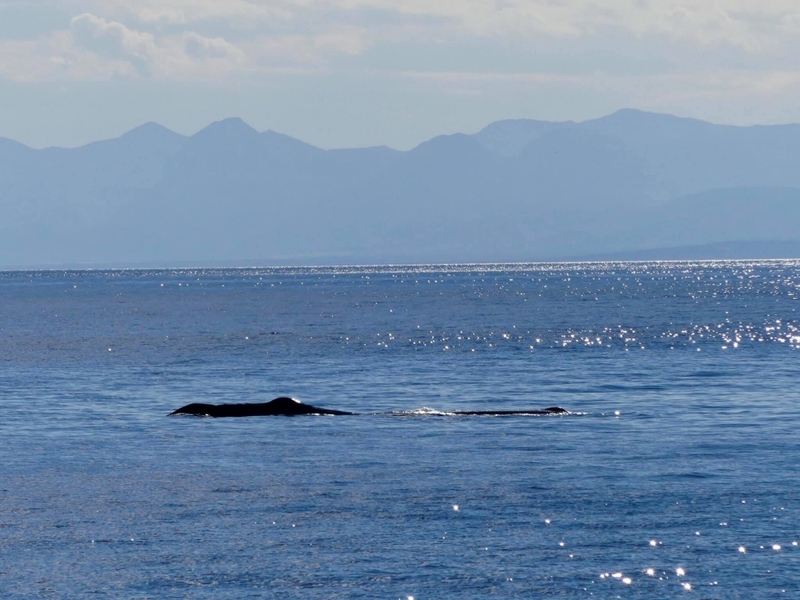 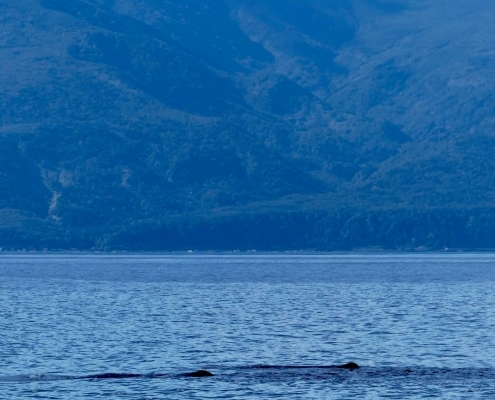 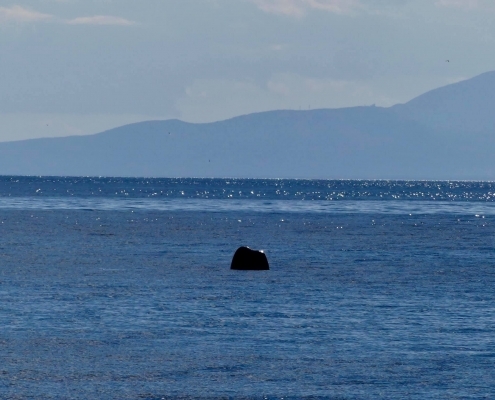 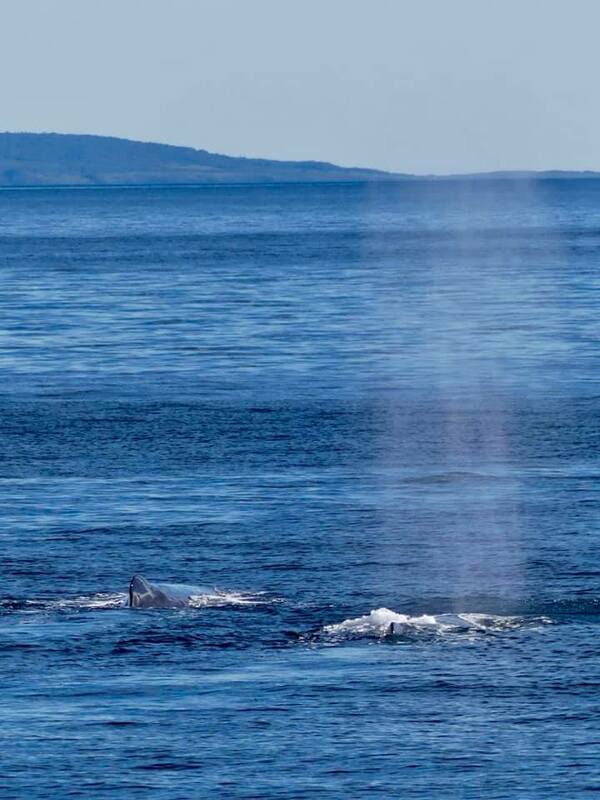 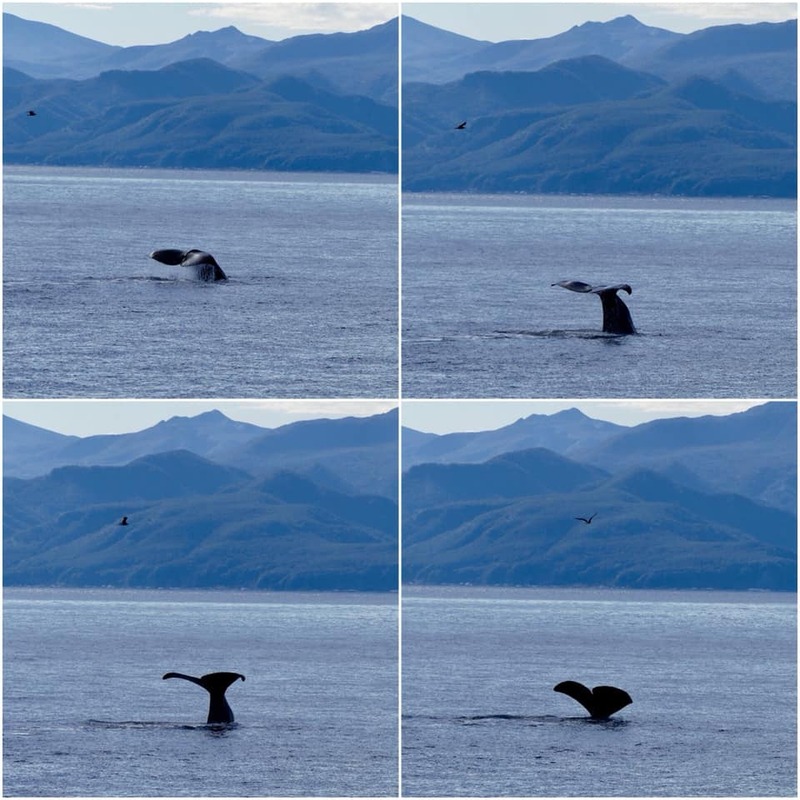 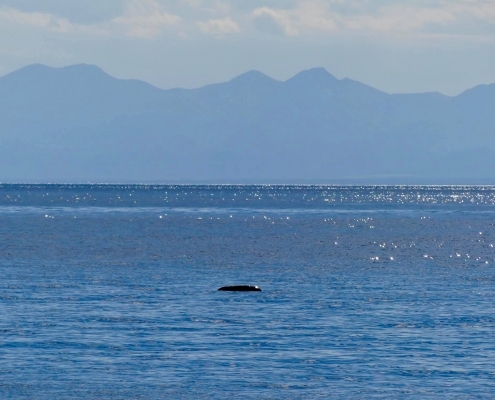 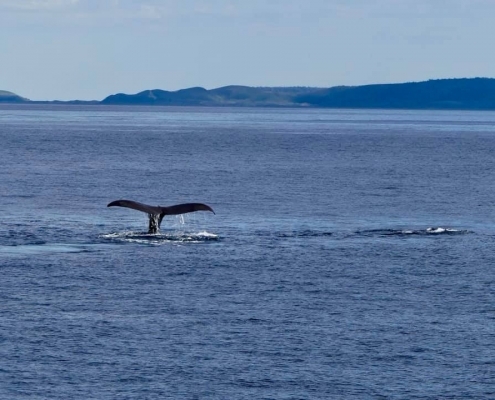 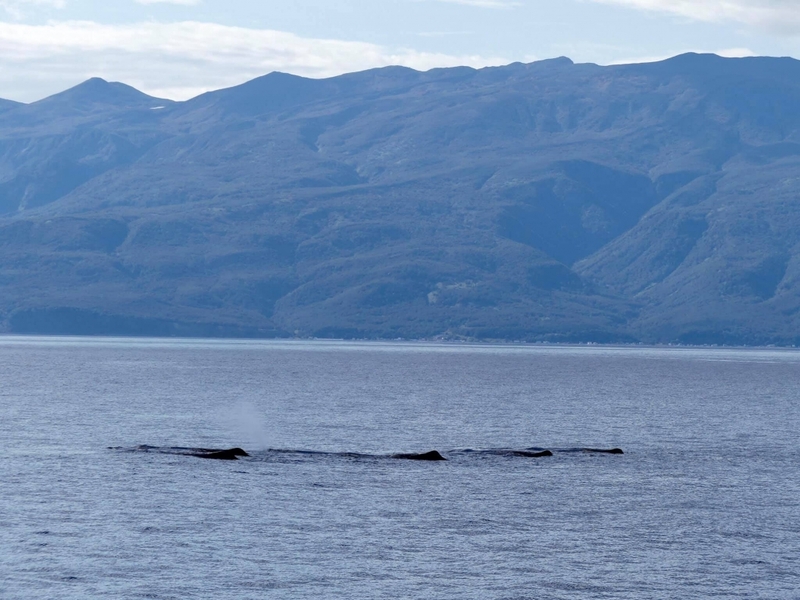 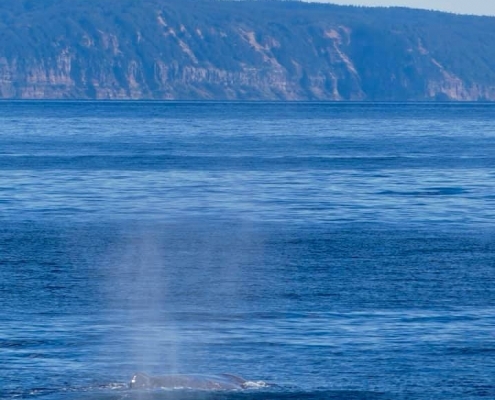 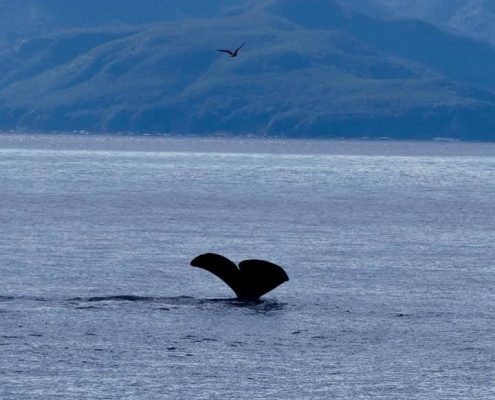 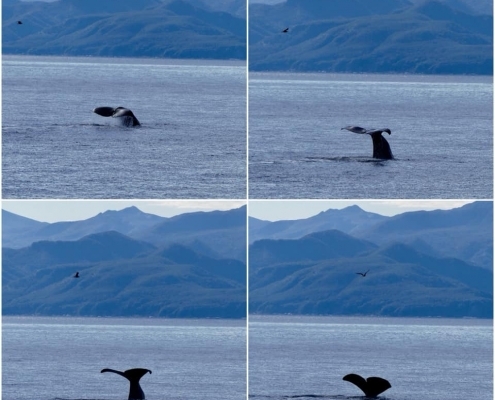 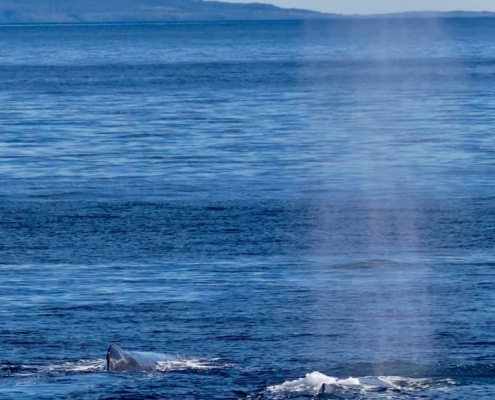 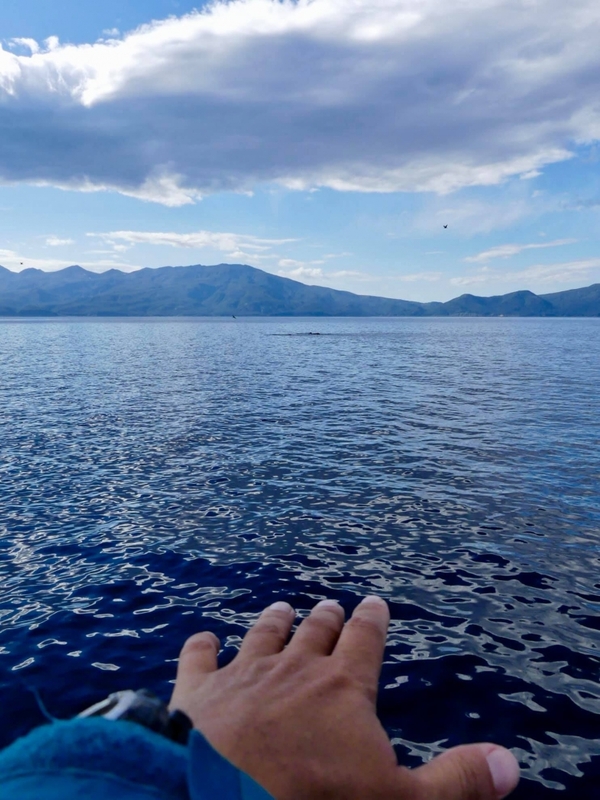 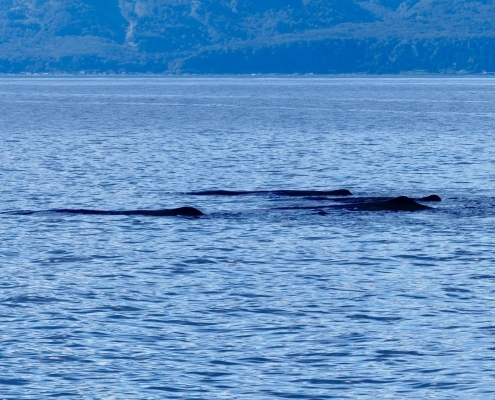 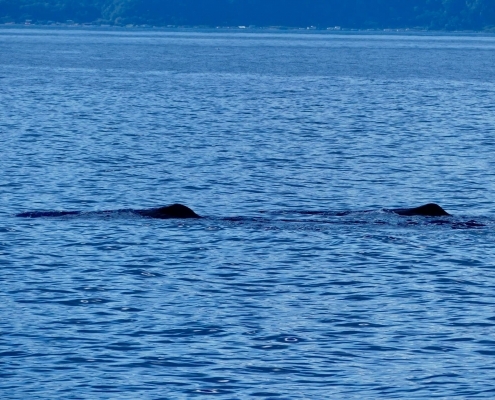 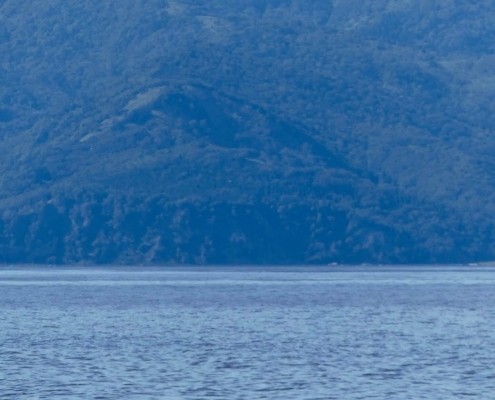 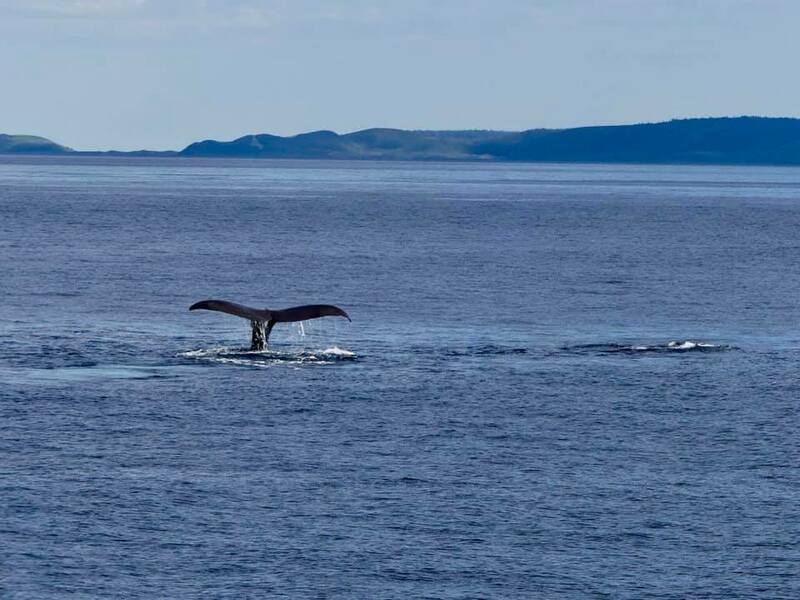 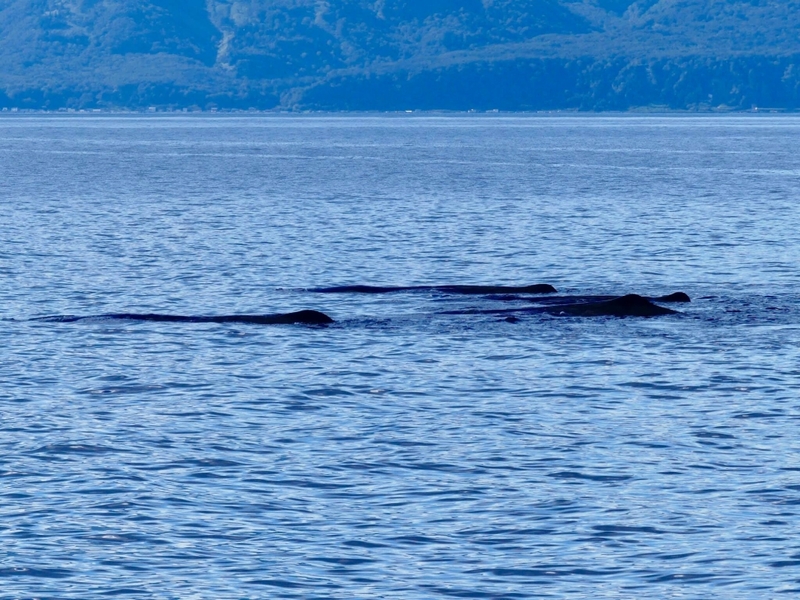 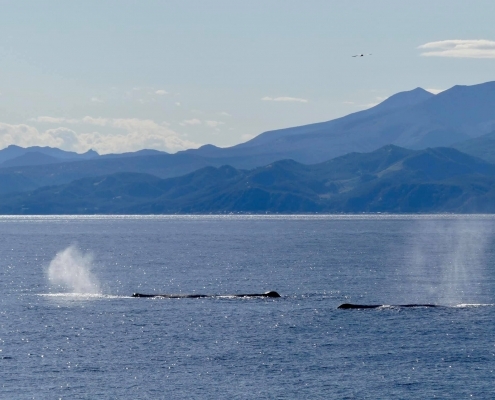 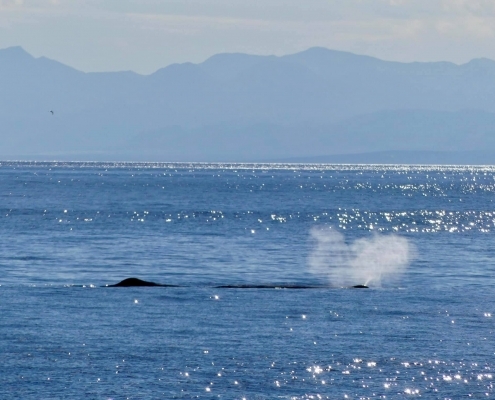 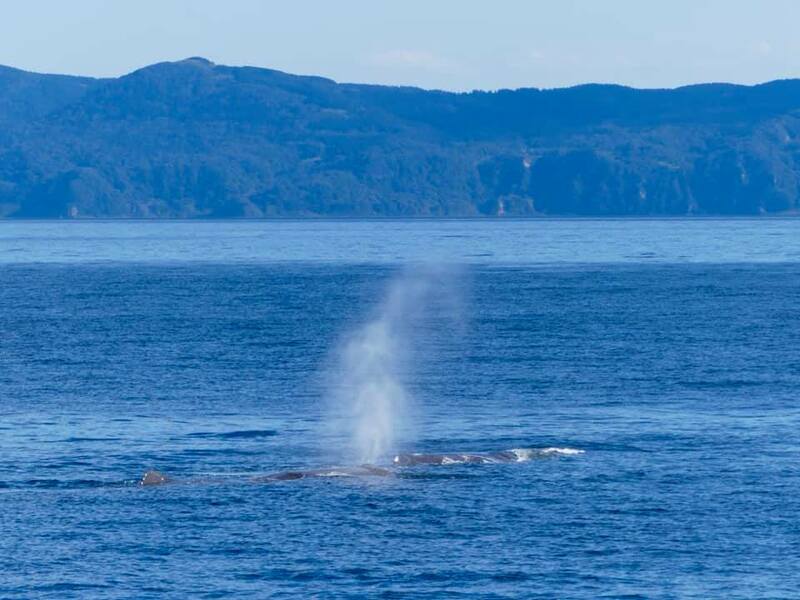 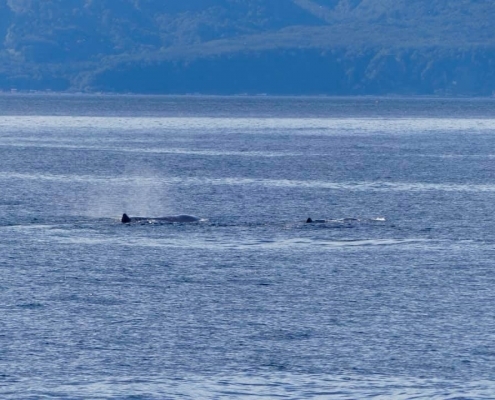 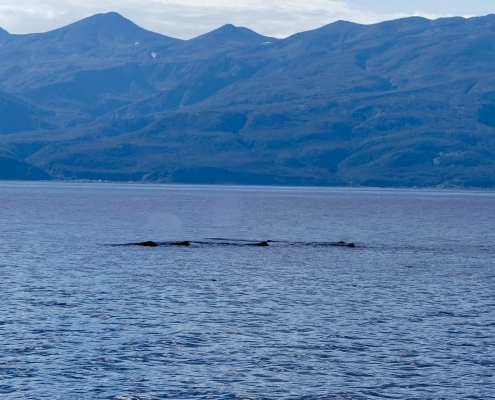 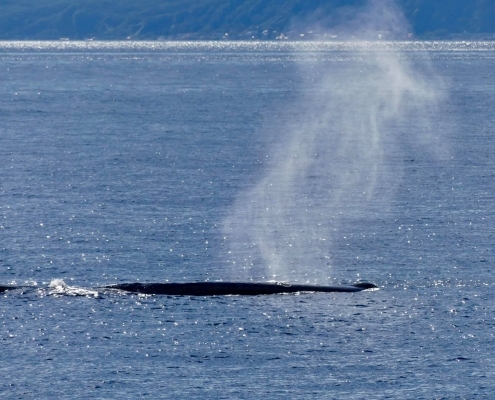 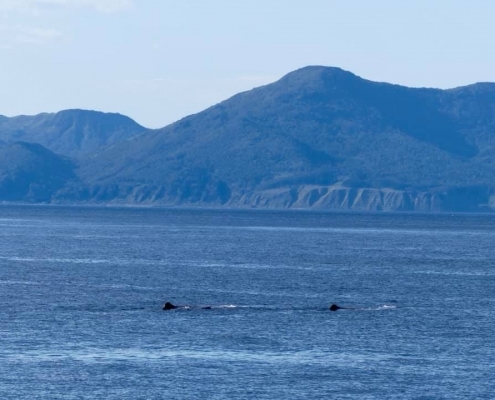 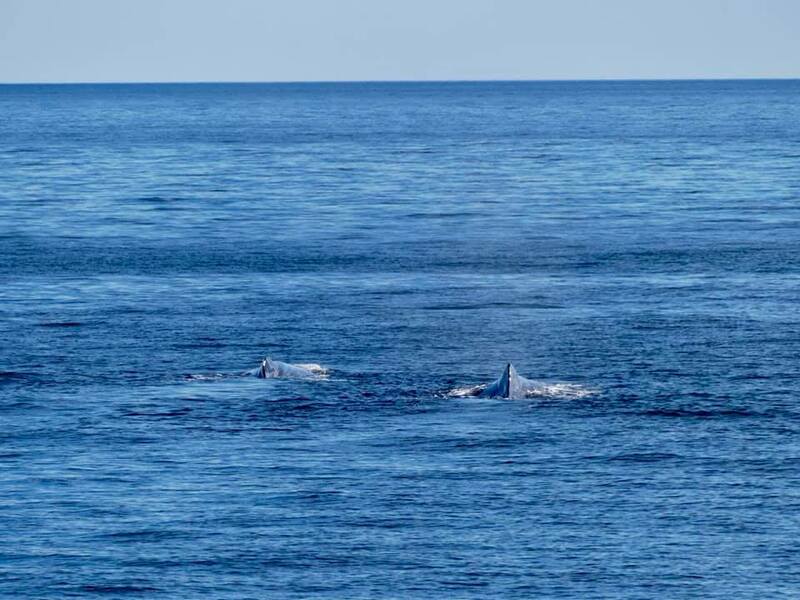 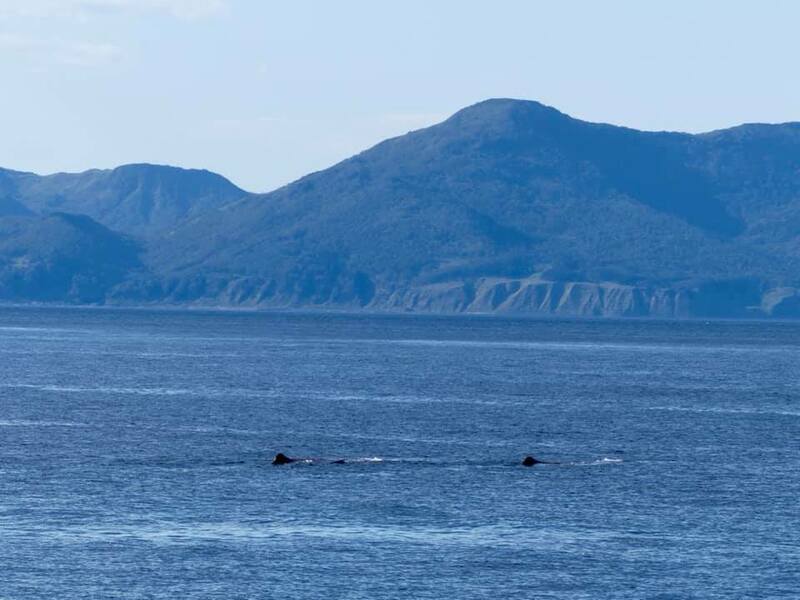 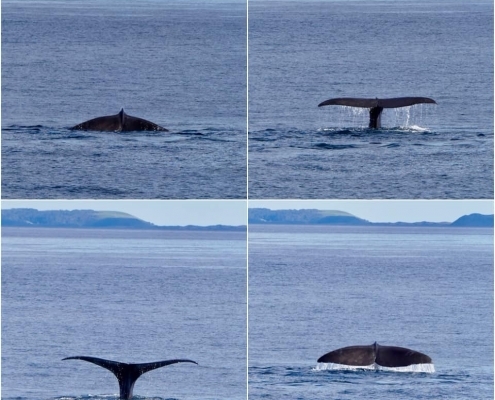 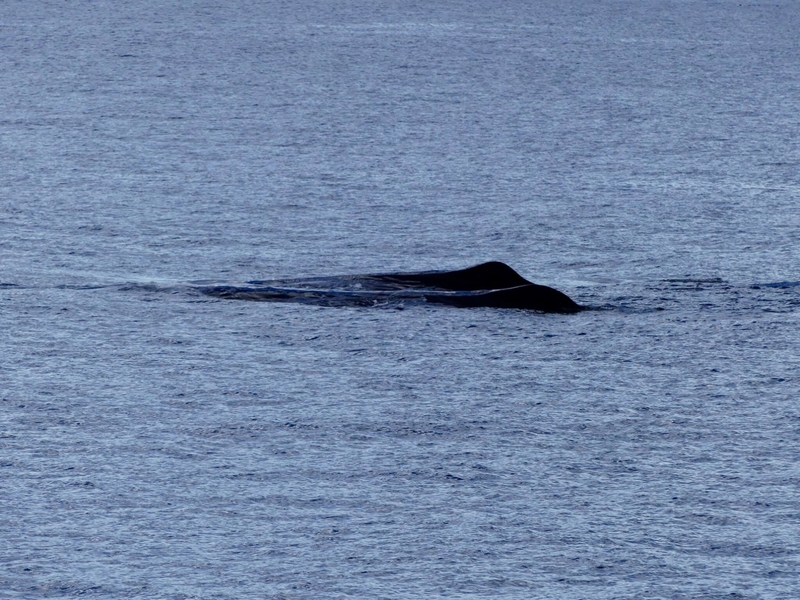 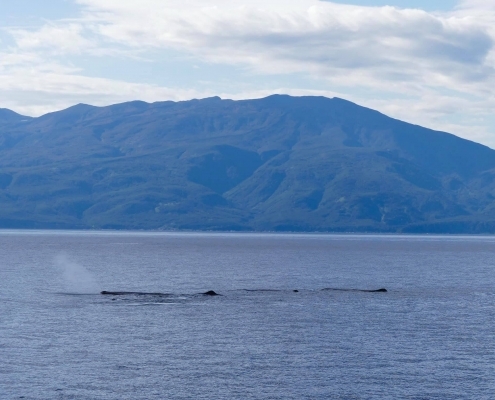 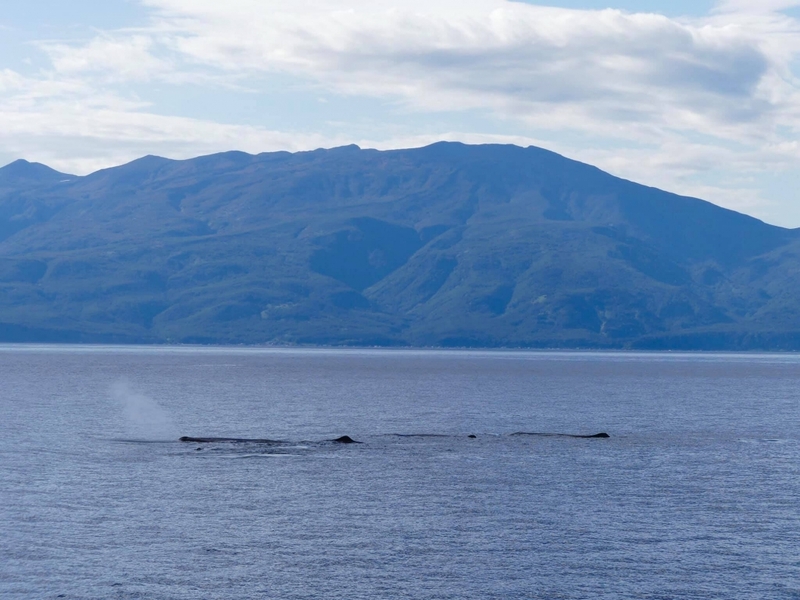 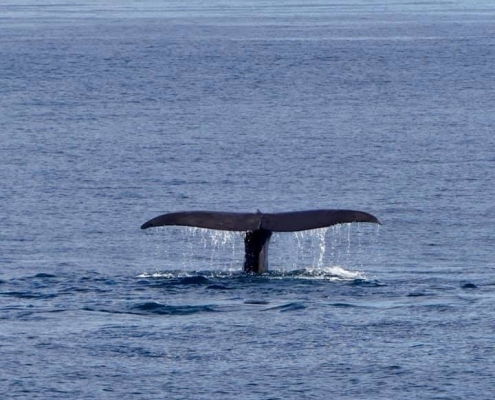 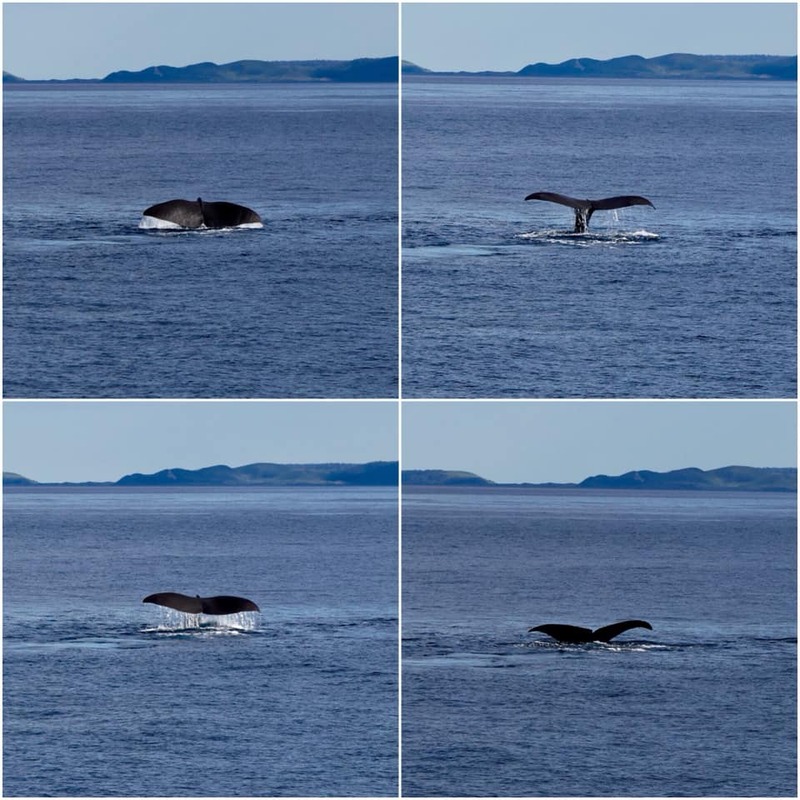 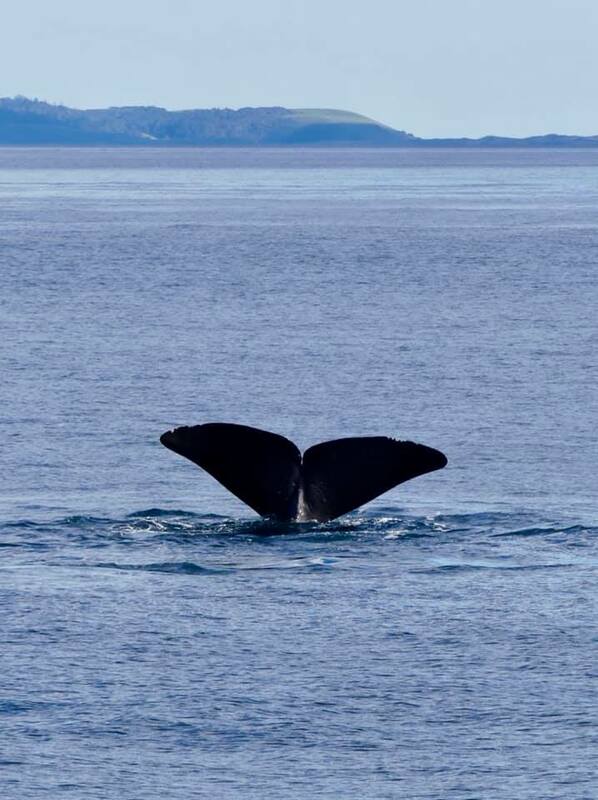 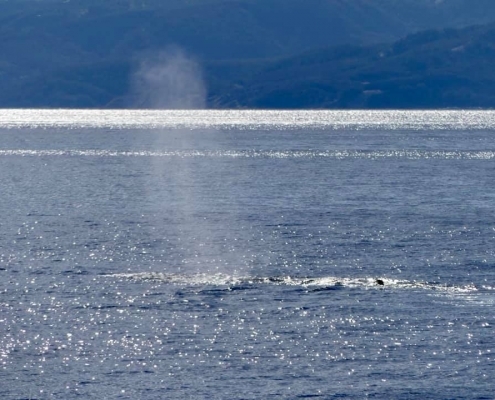 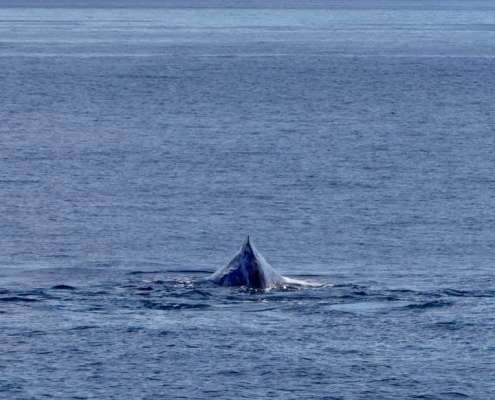 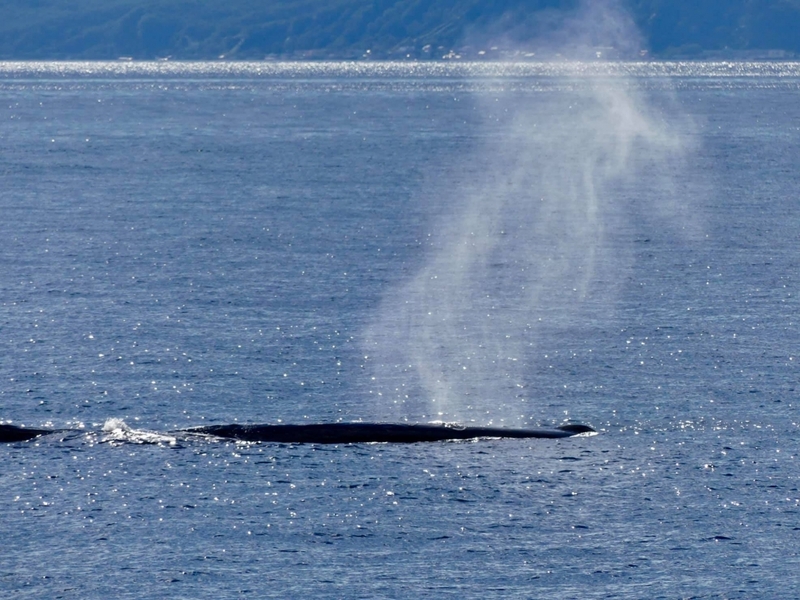 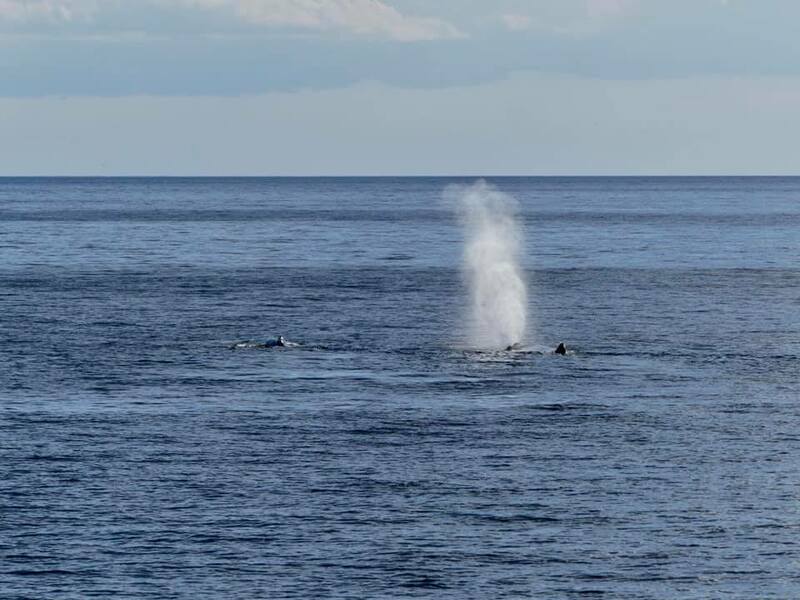 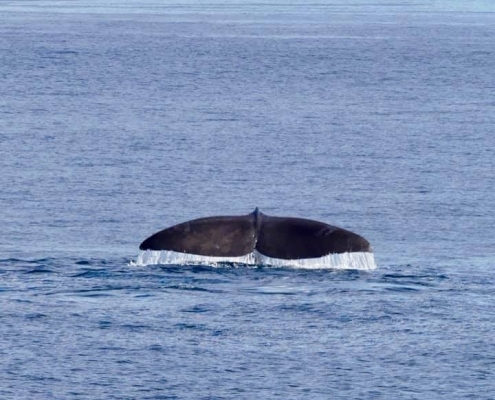 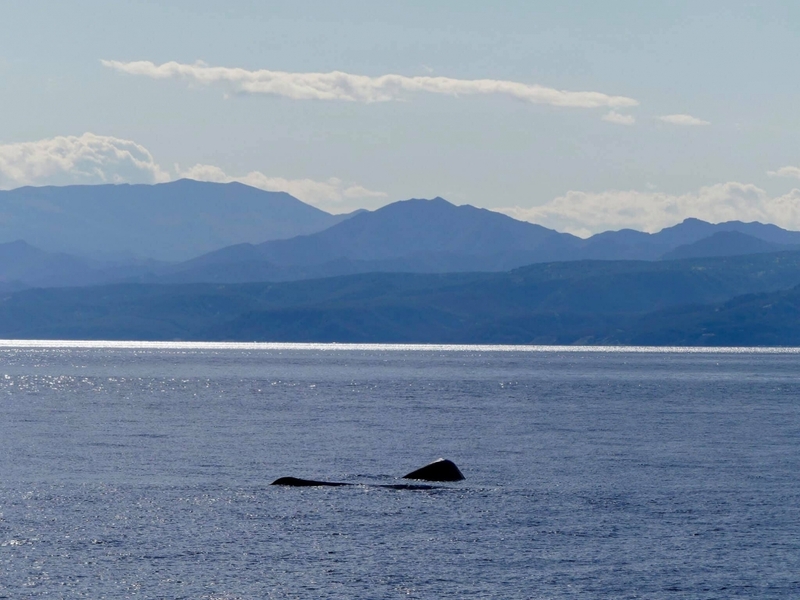 They swam around and even did spyhopping (popping the heads out – a behavior very rare for sperm whales), and played in the sun and eventually dived down one by one with absolutely spectacular tail fin displays. 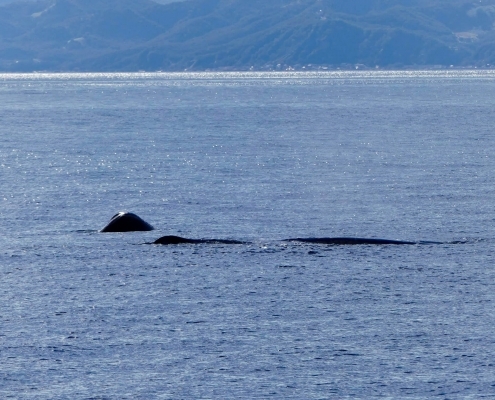 Sperm whales are toothed whales (in fact, they are the largest predator with teeth in the world), males reaching 16-21m/52-68ft in length and weight around 45 tons on average! 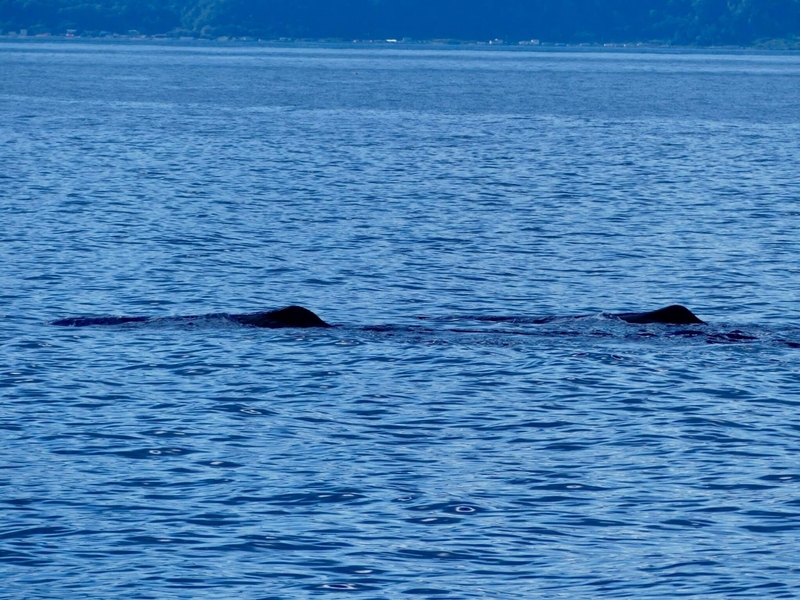 Their massive heads are about 1/3 of their bodies, they are almost pitch black in color and the tail fins are also black. 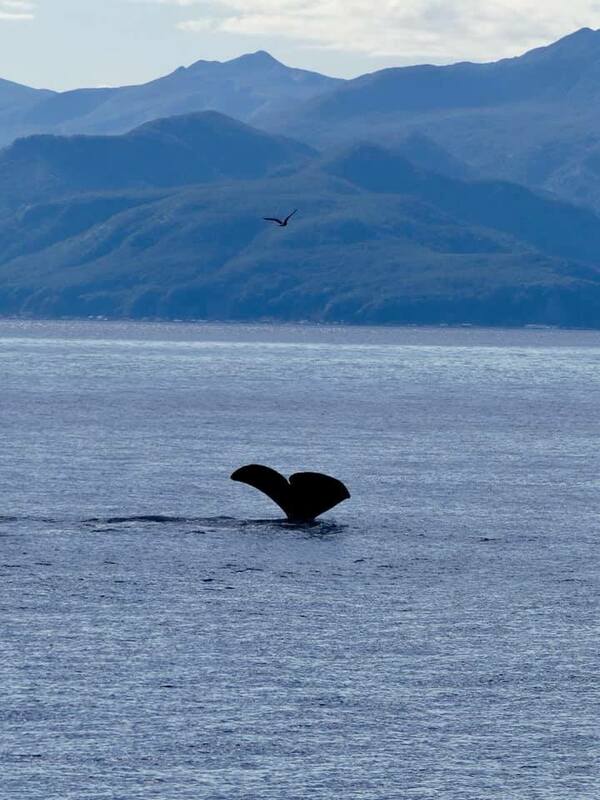 They are known as one of the deepest diving animals on earth, over 7000ft in depth. 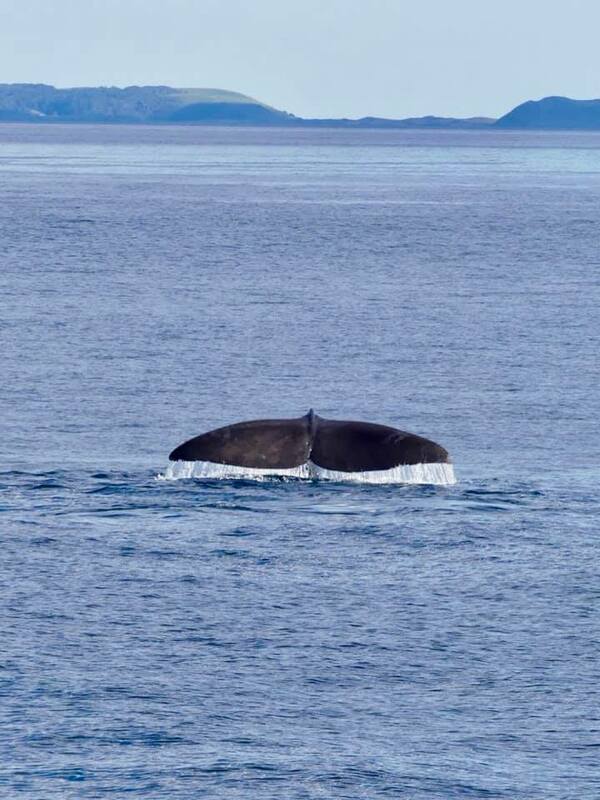 Sperm whales also have the biggest brains of all the animals on the planet, 5 times larger than human, and their echolocation communication abilities are also second to none! 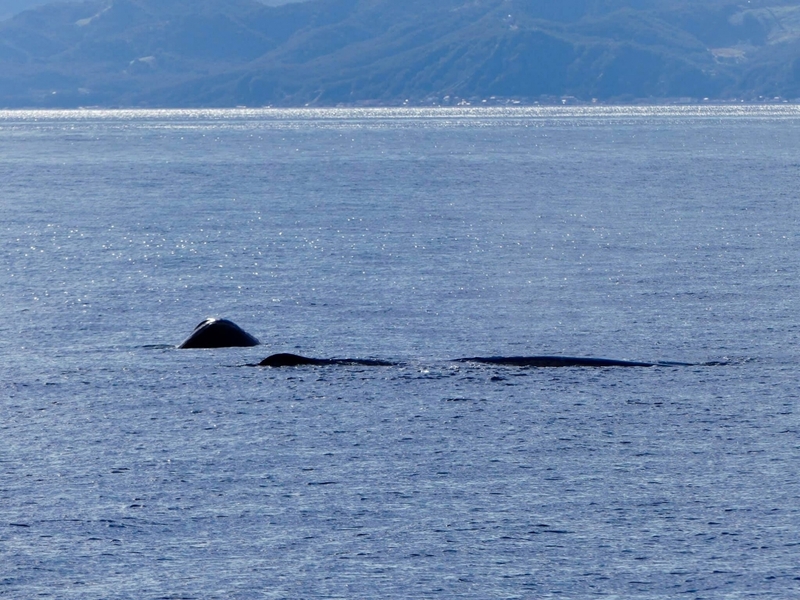 And speaking of brains – the sperm whales are inappropriately named “sperm” for the “spermaceti oil”, a waxy substance found in their heads. 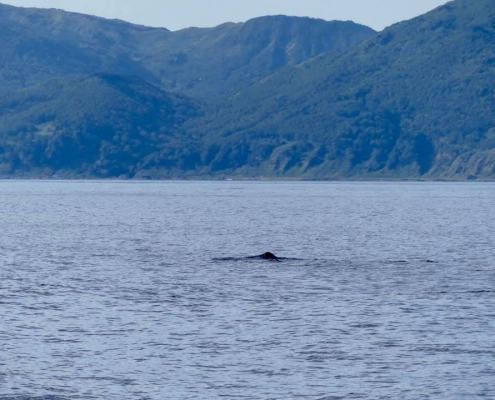 This oil is thought to be used as a floating mechanism for the giant head and brains as well as assisting in echolocation focusing, no other whales have this in their bodies. 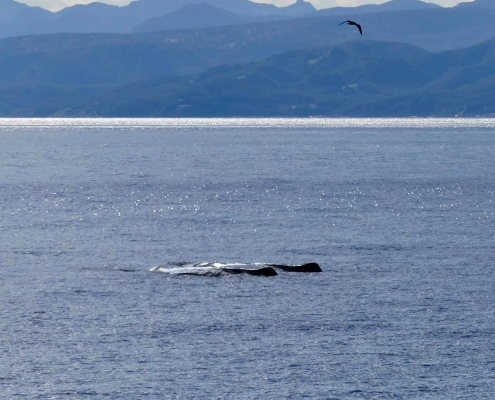 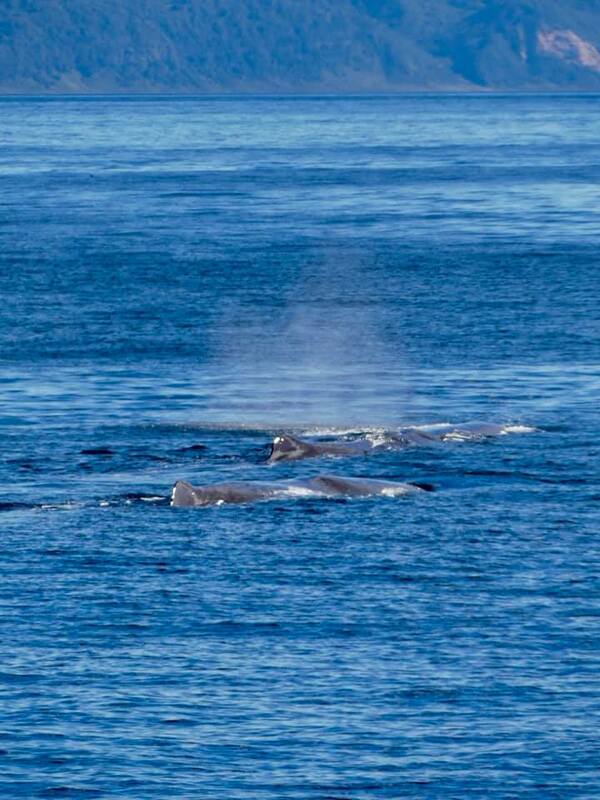 Sadly, the sperm whales where hunted and killed for this sperm oil.